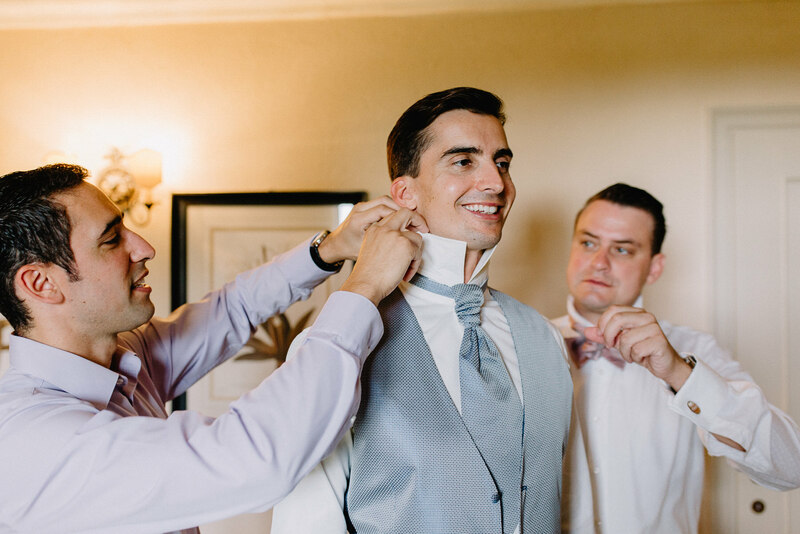 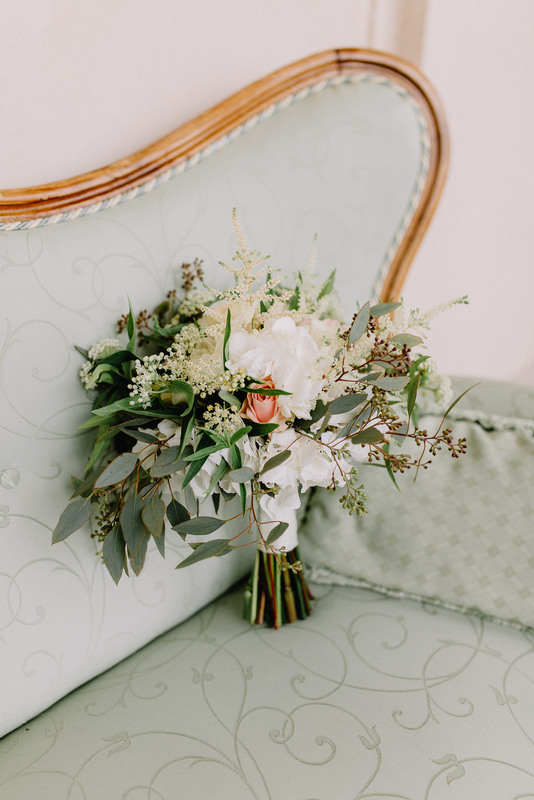 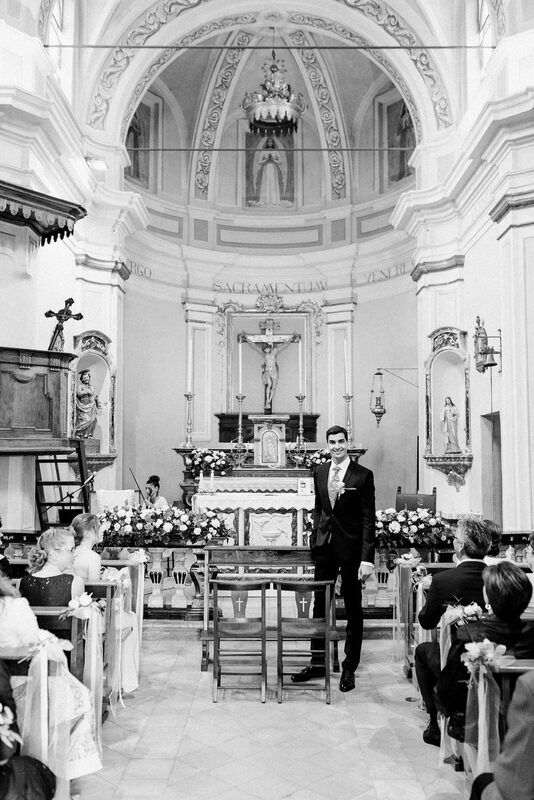 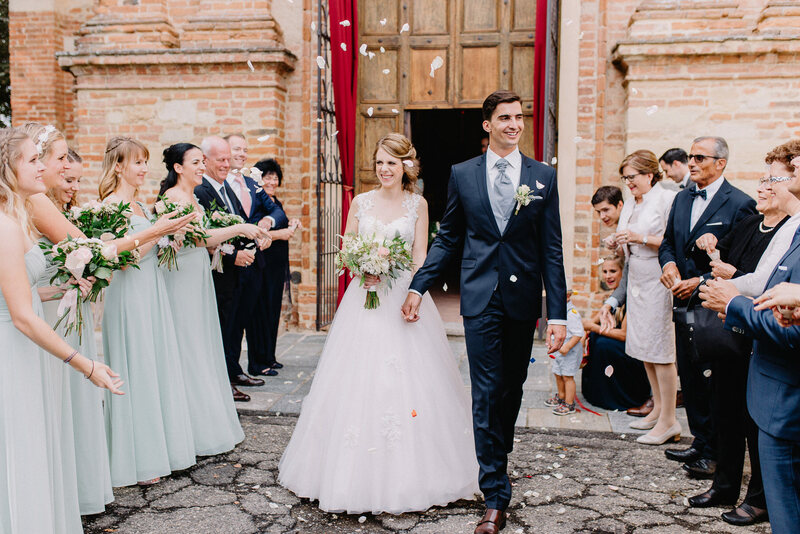 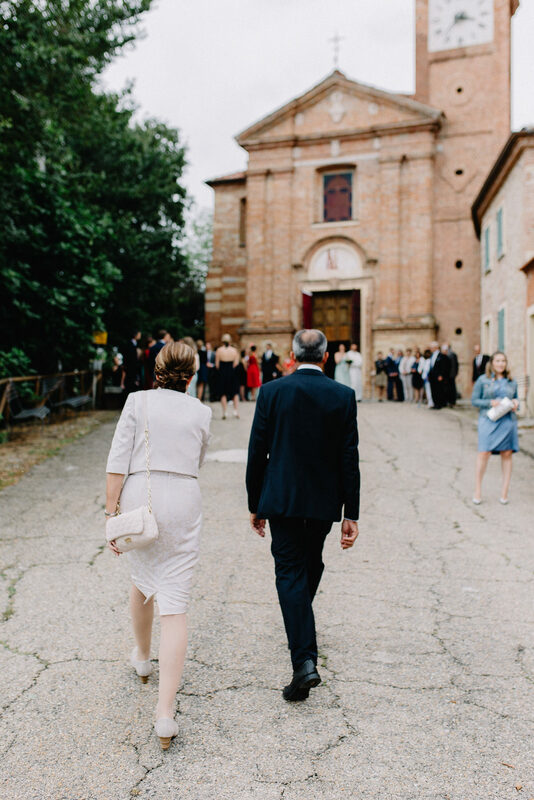 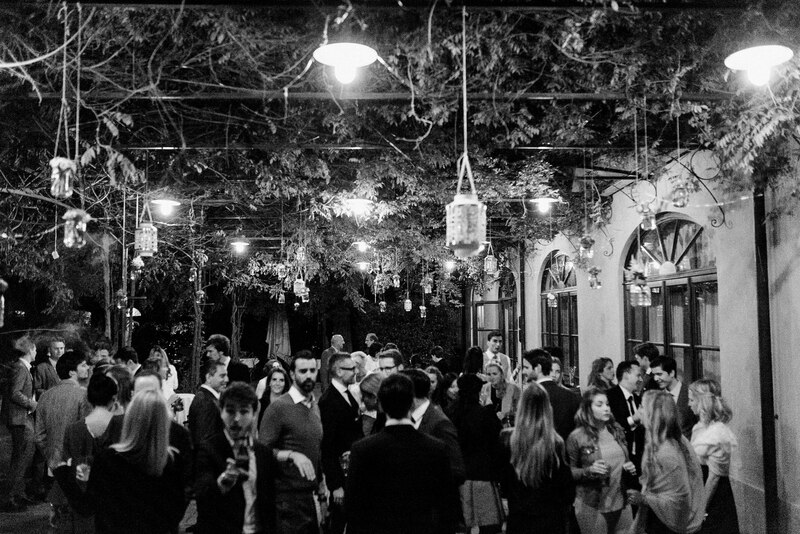 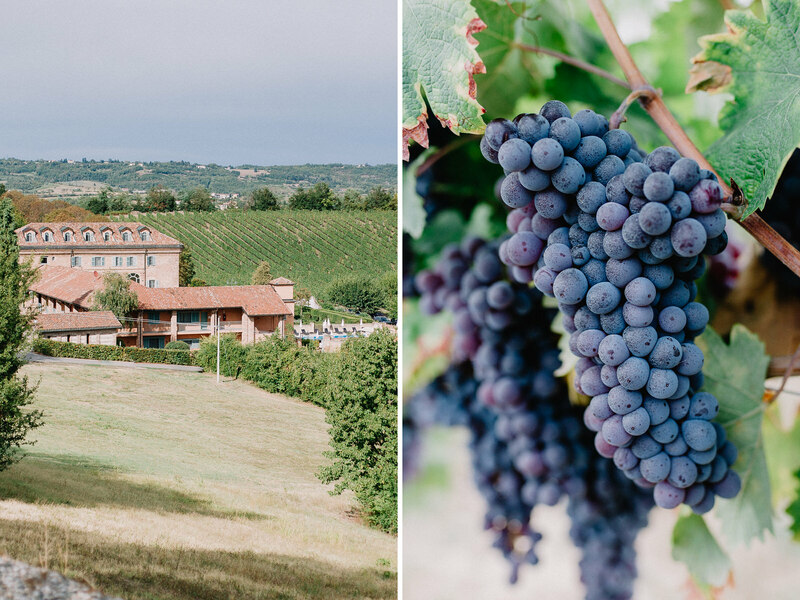 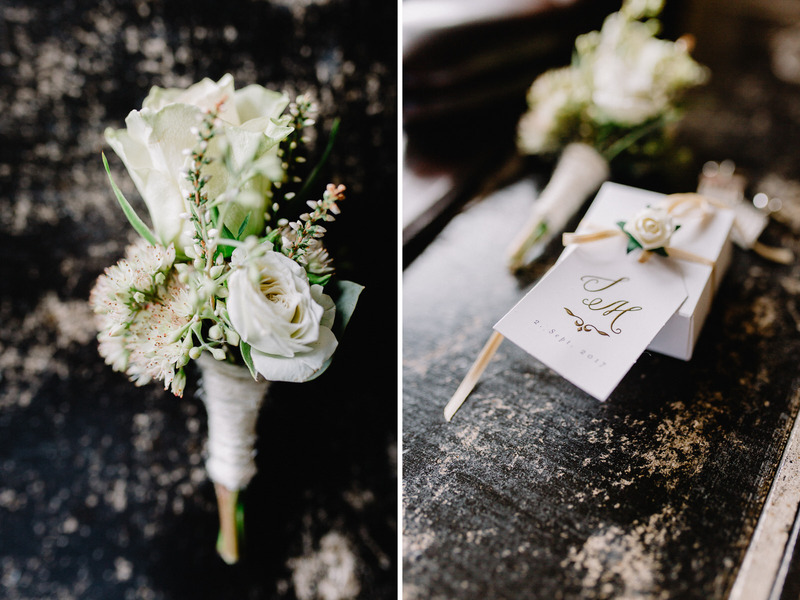 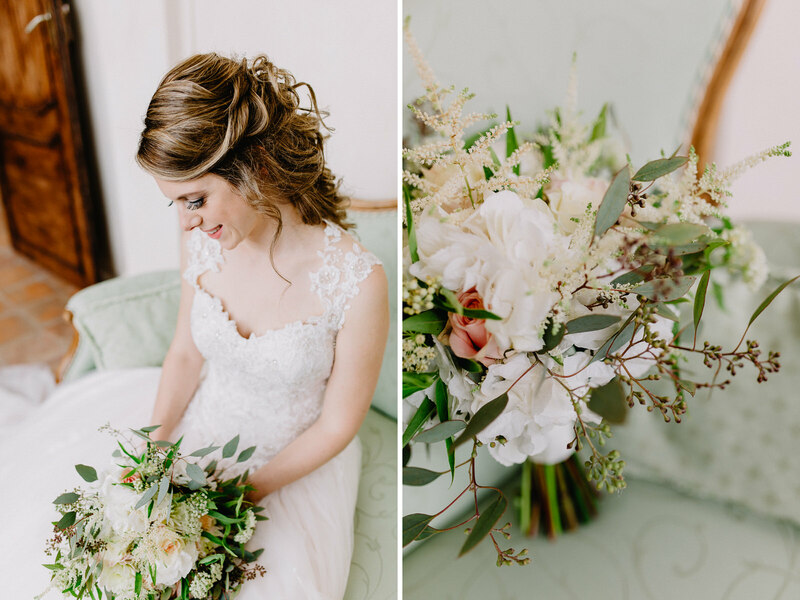 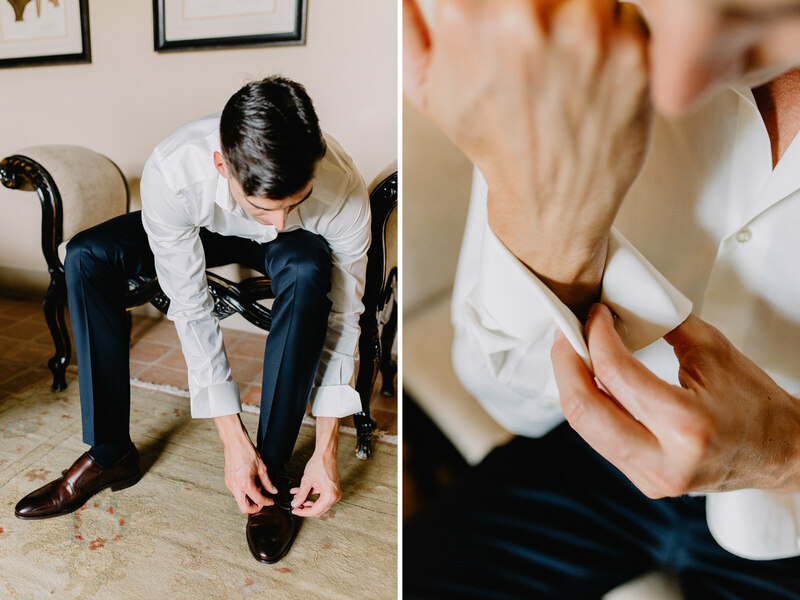 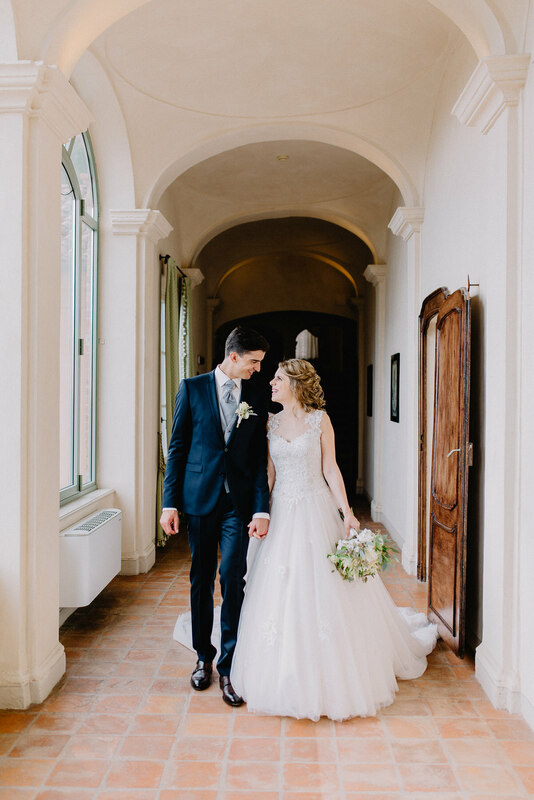 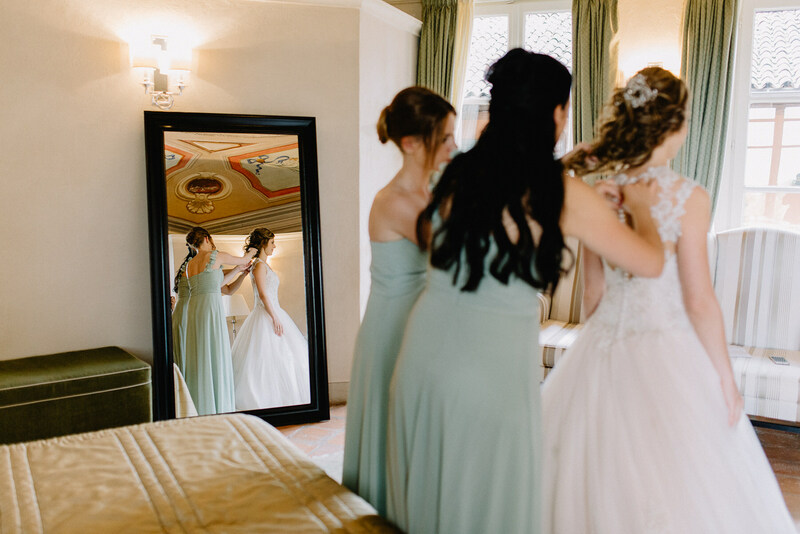 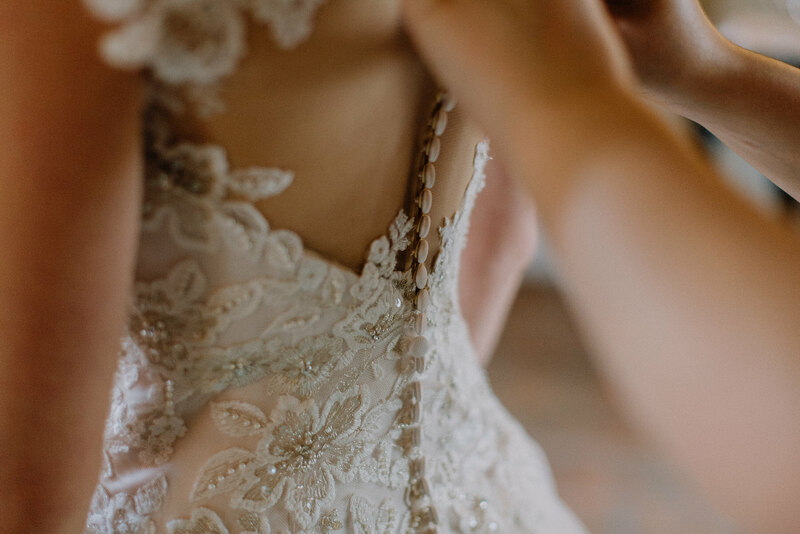 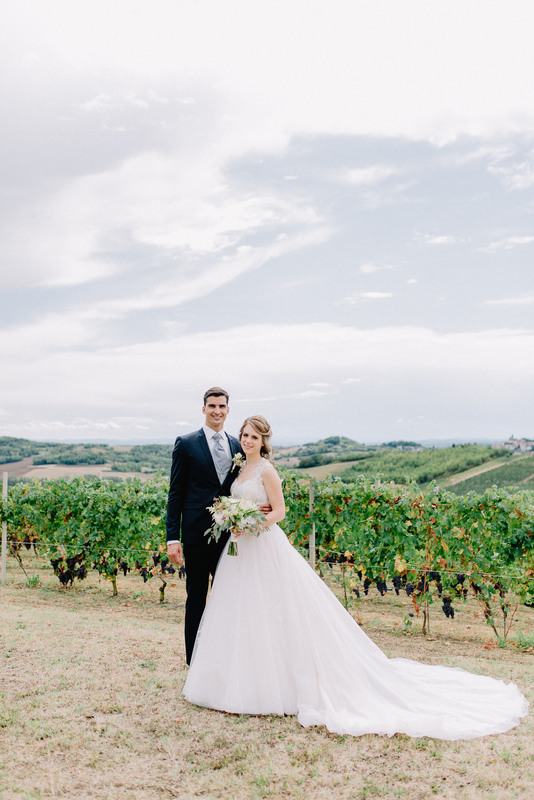 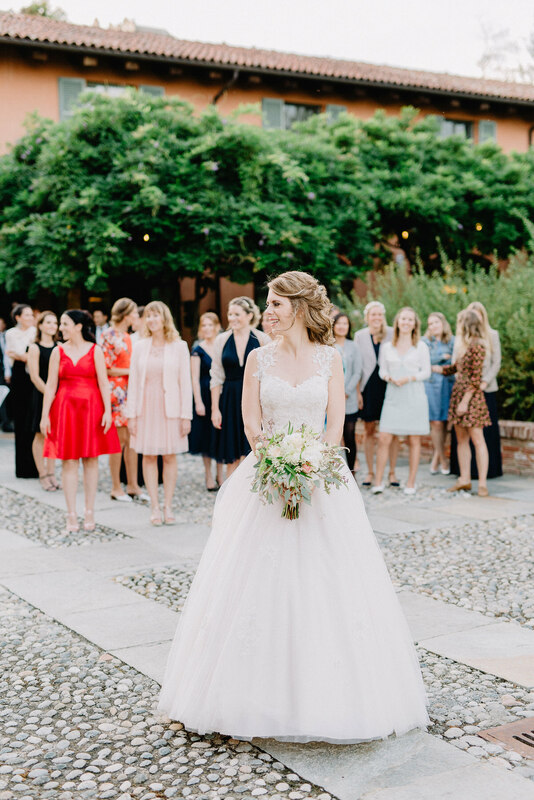 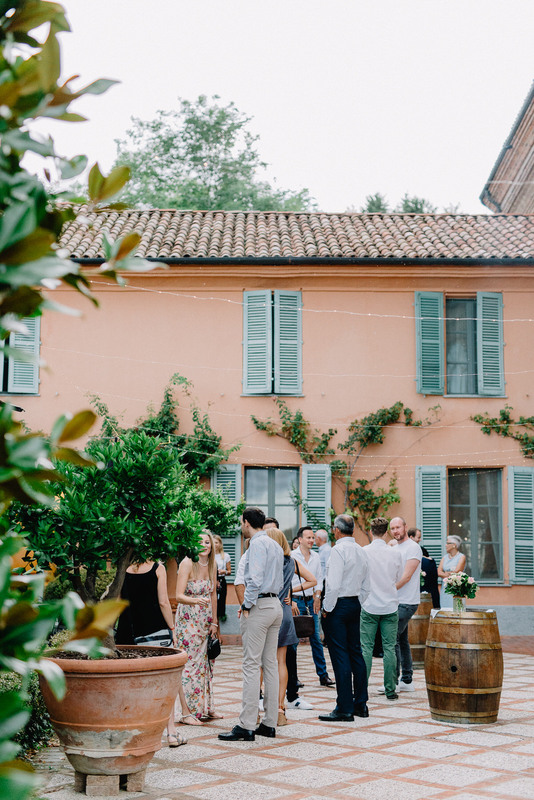 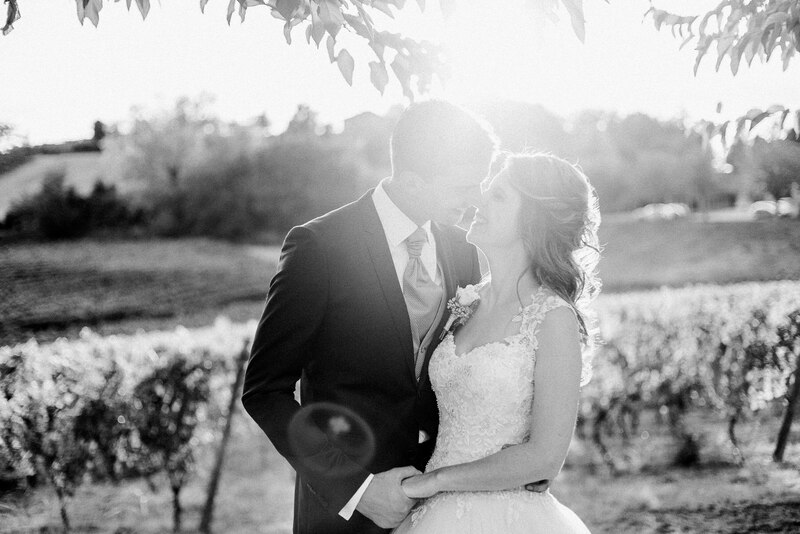 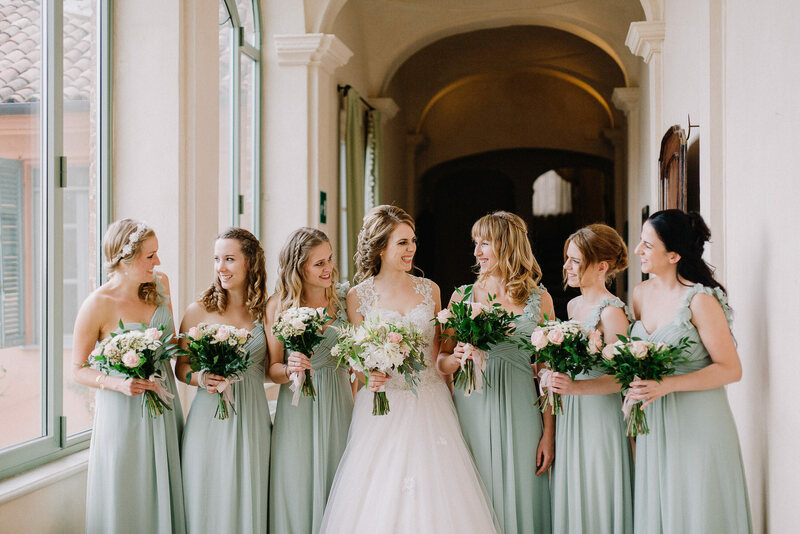 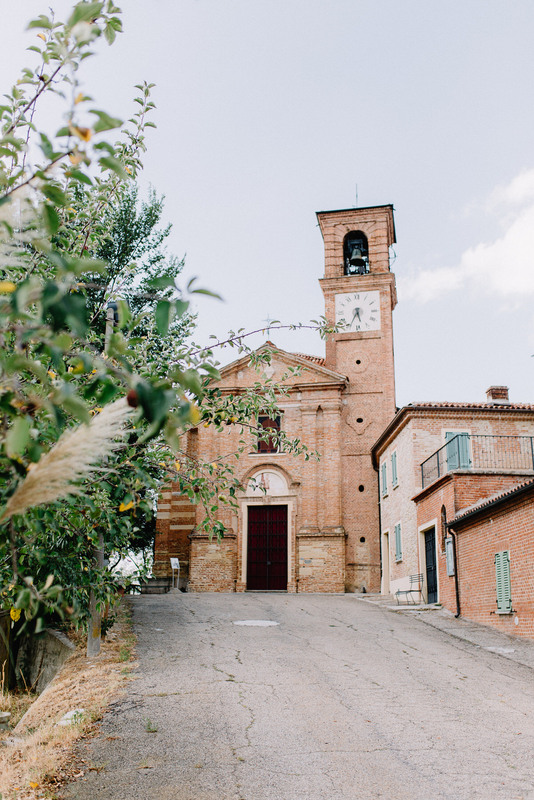 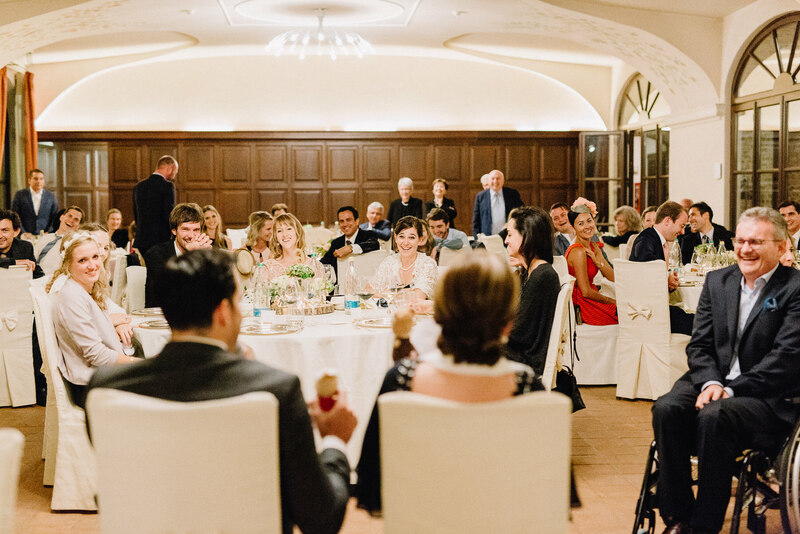 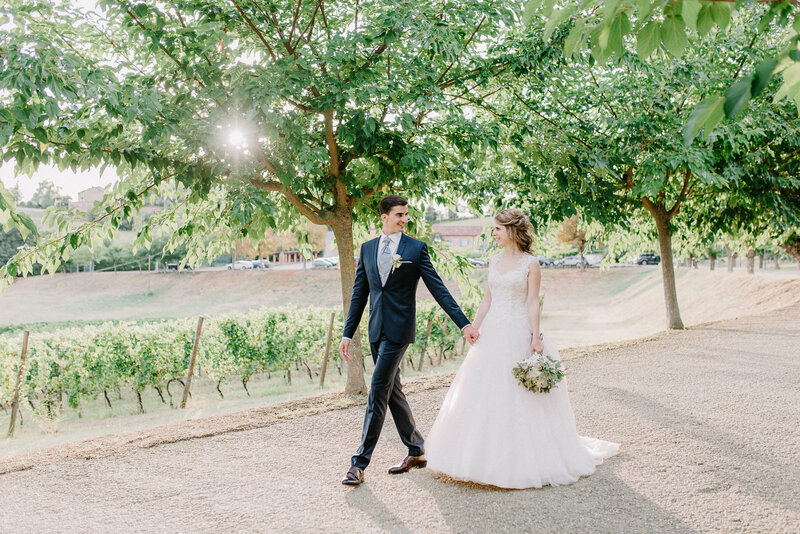 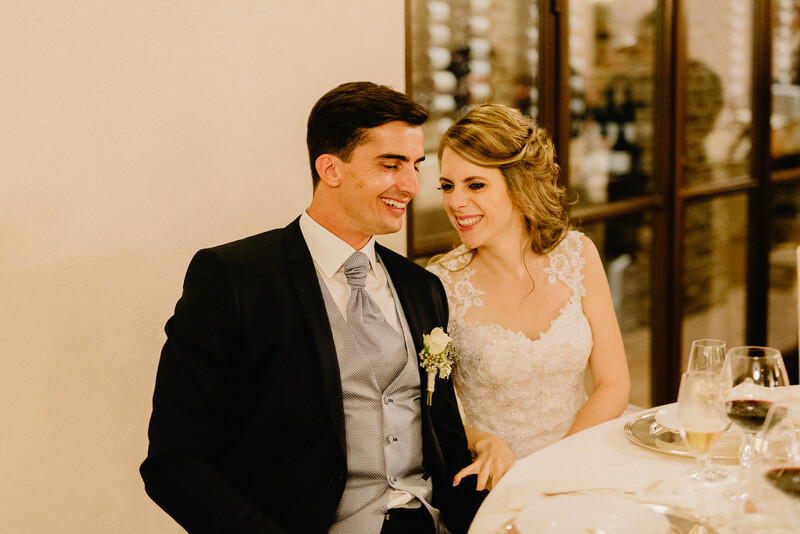 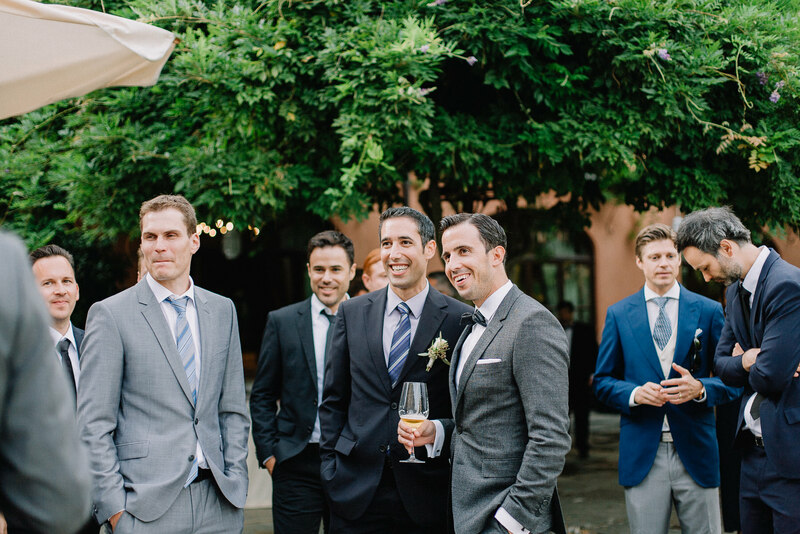 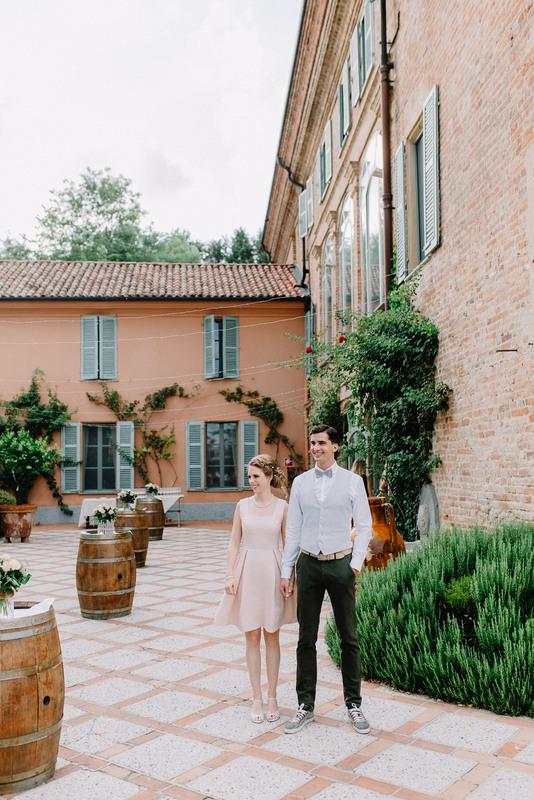 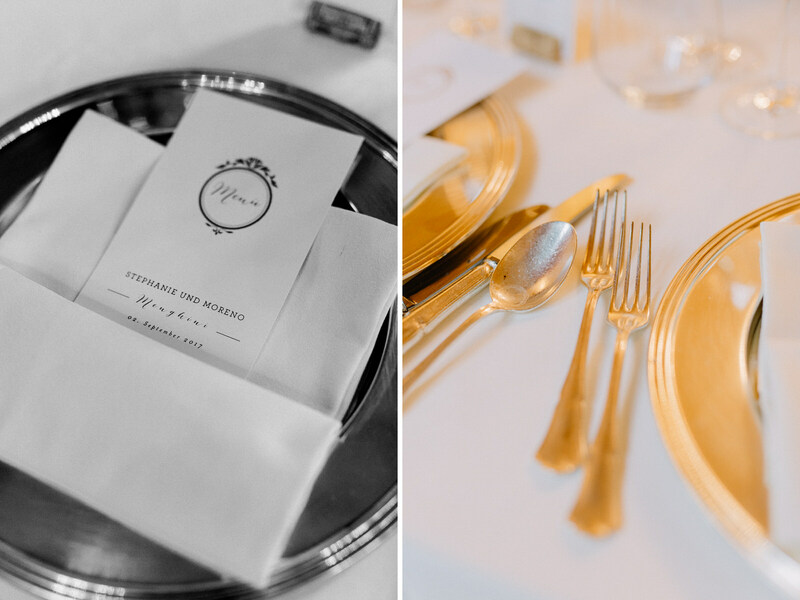 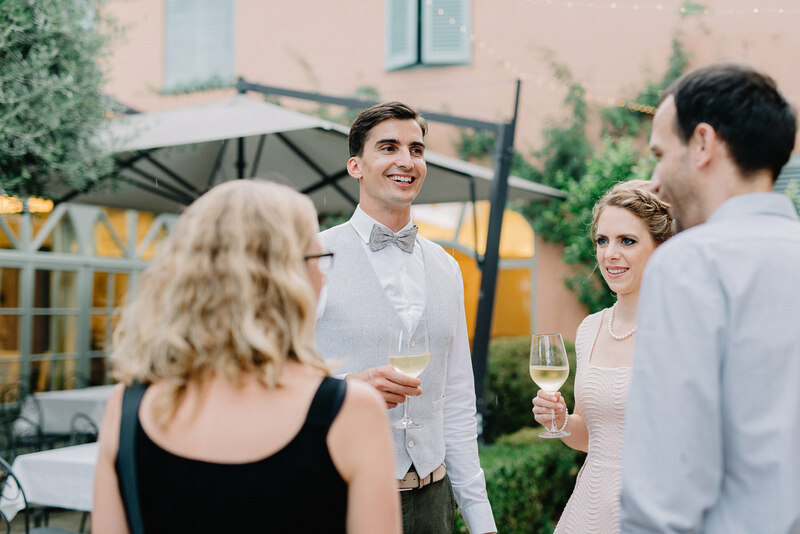 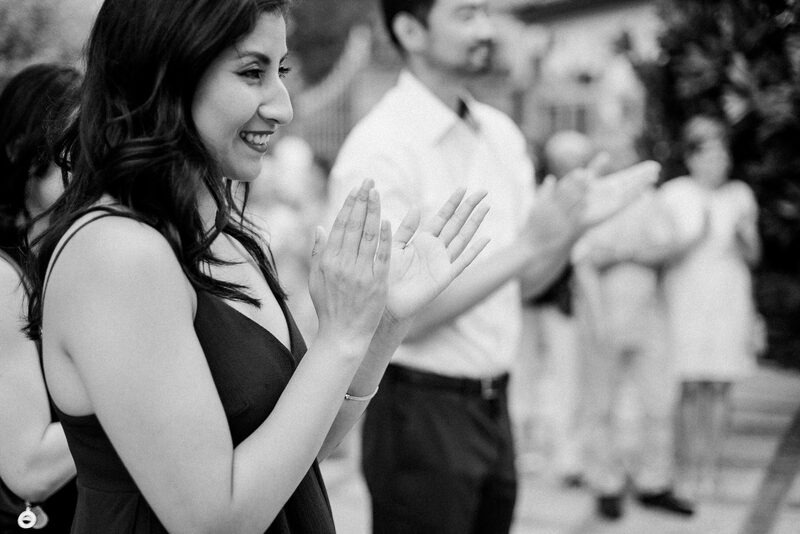 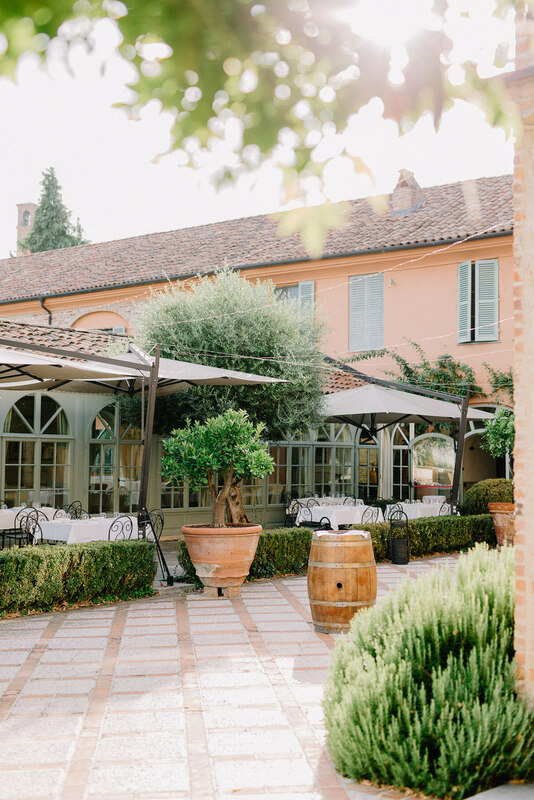 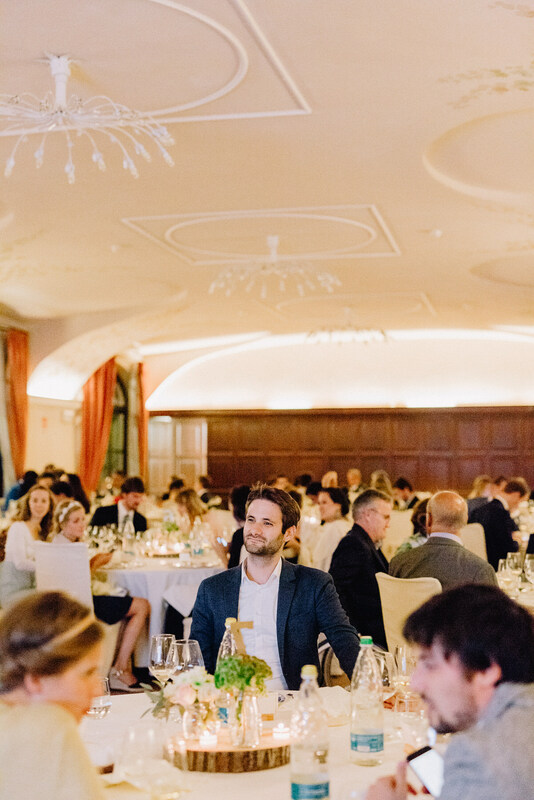 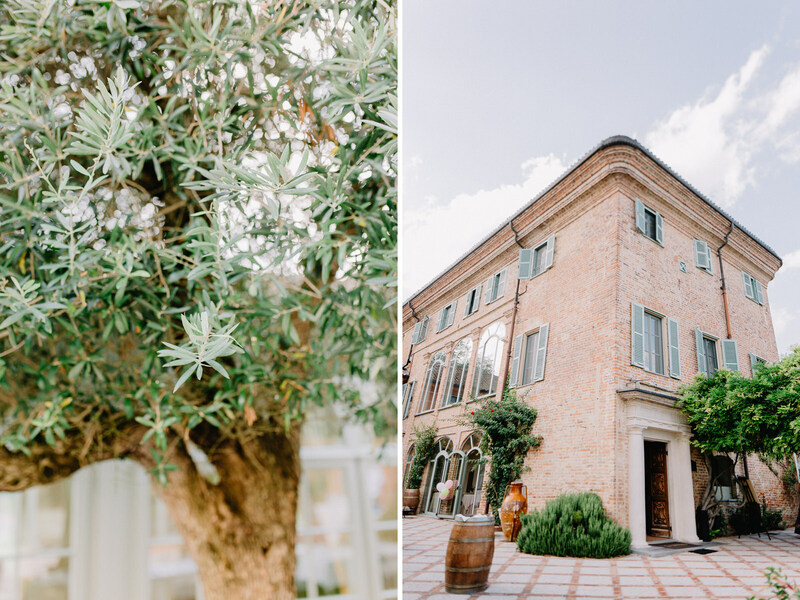 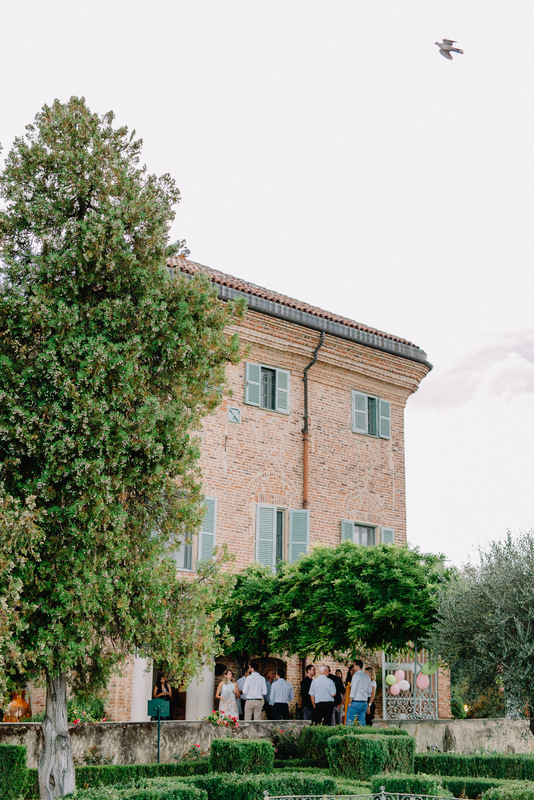 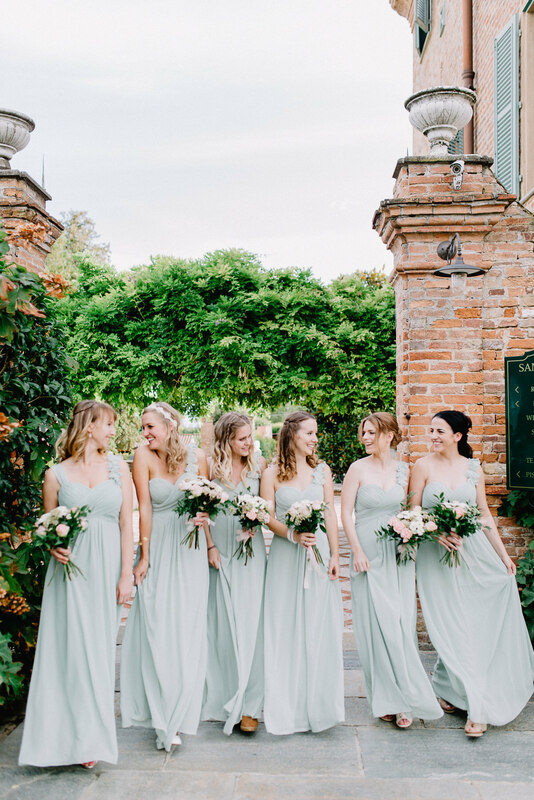 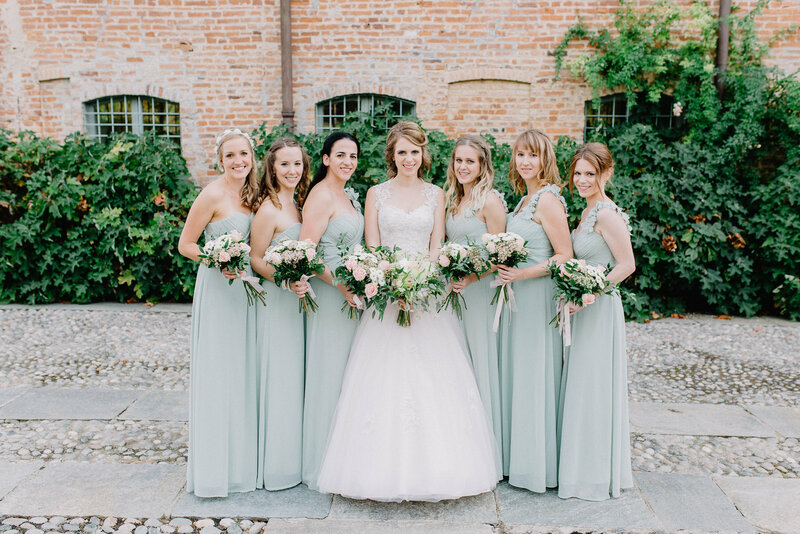 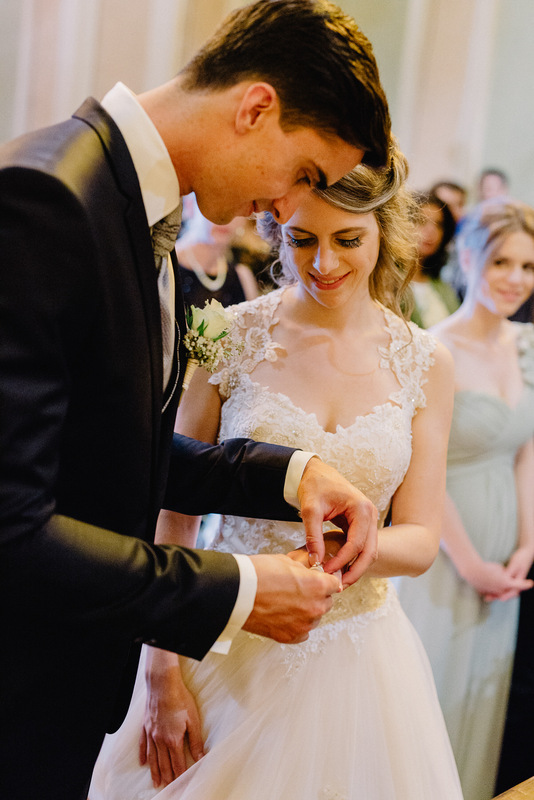 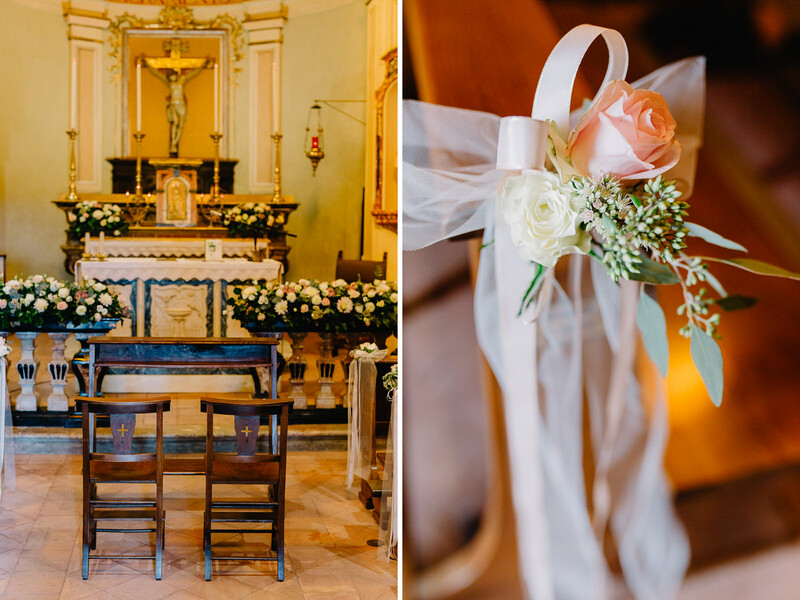 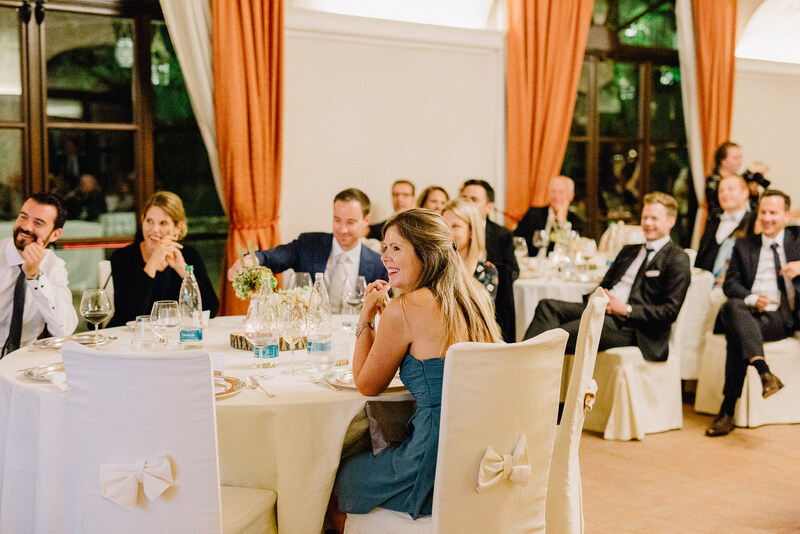 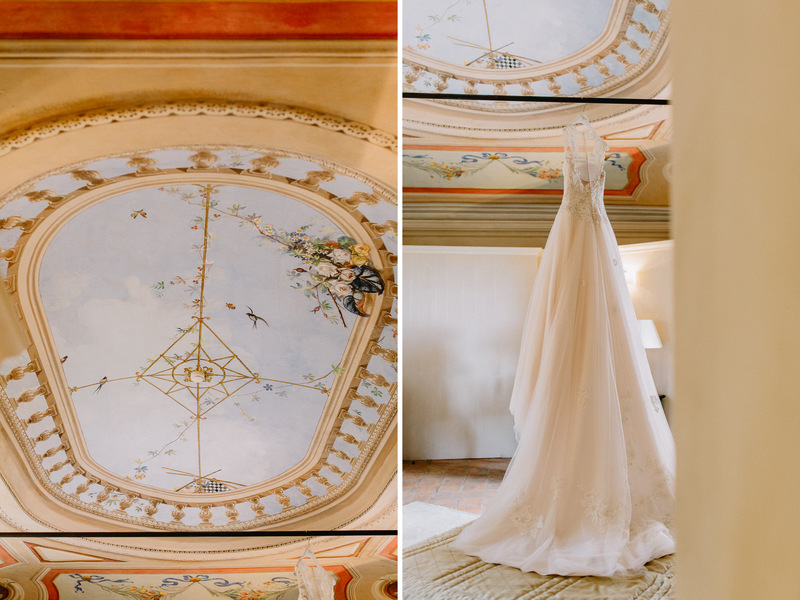 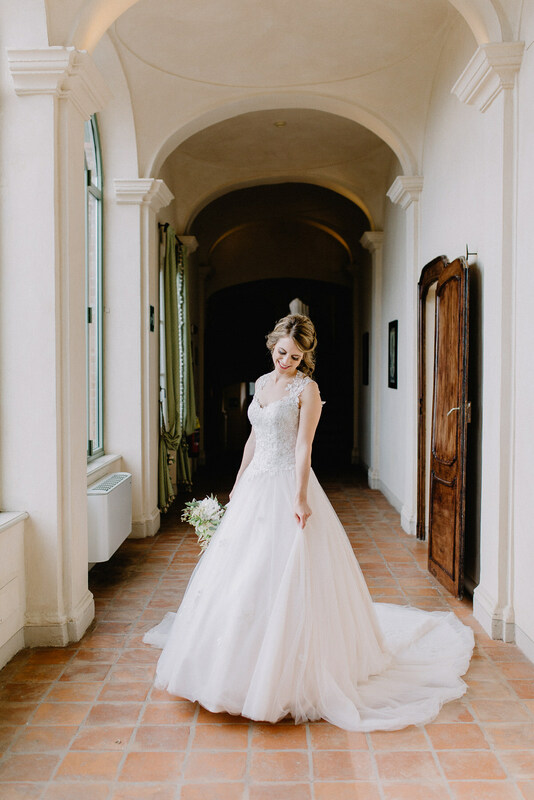 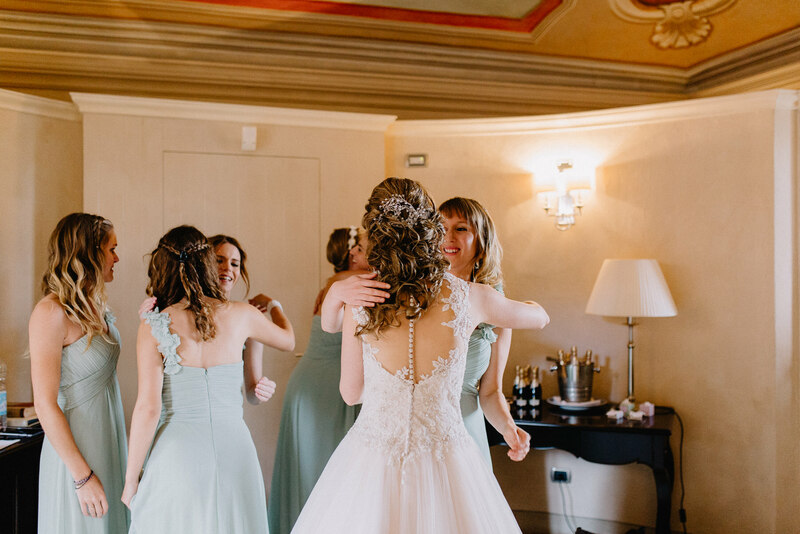 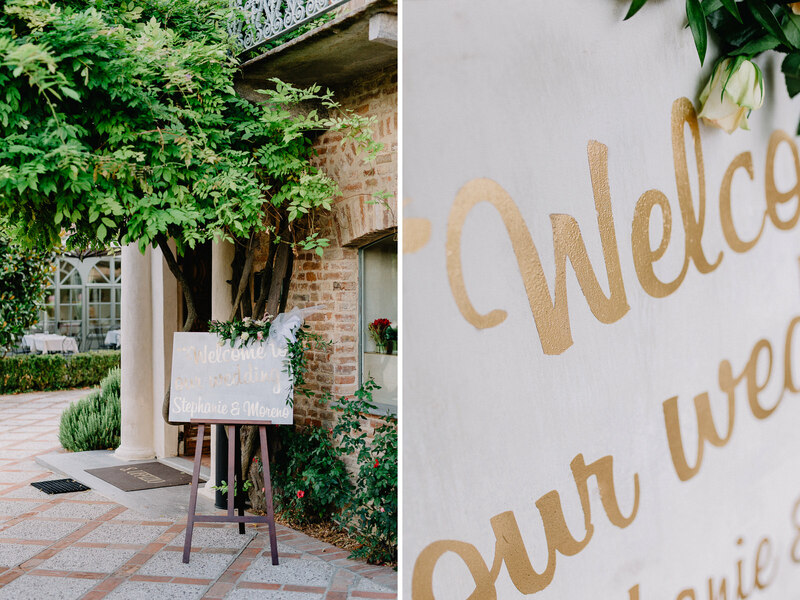 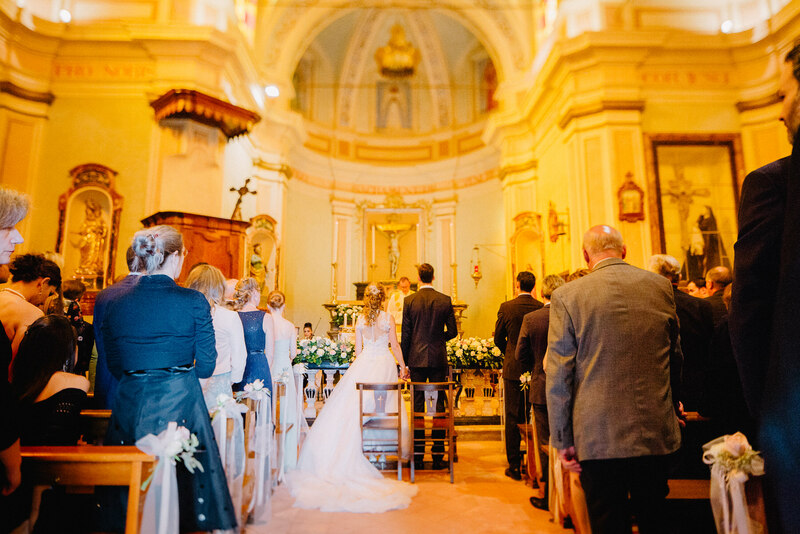 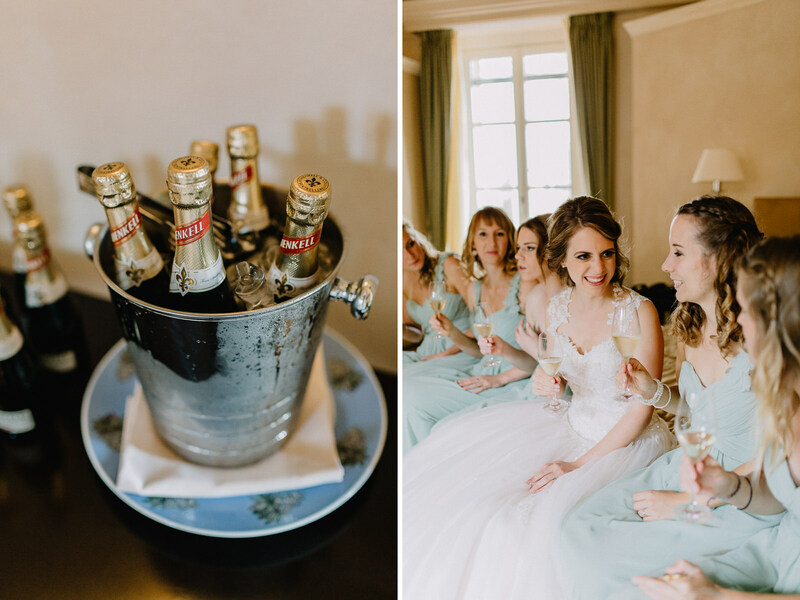 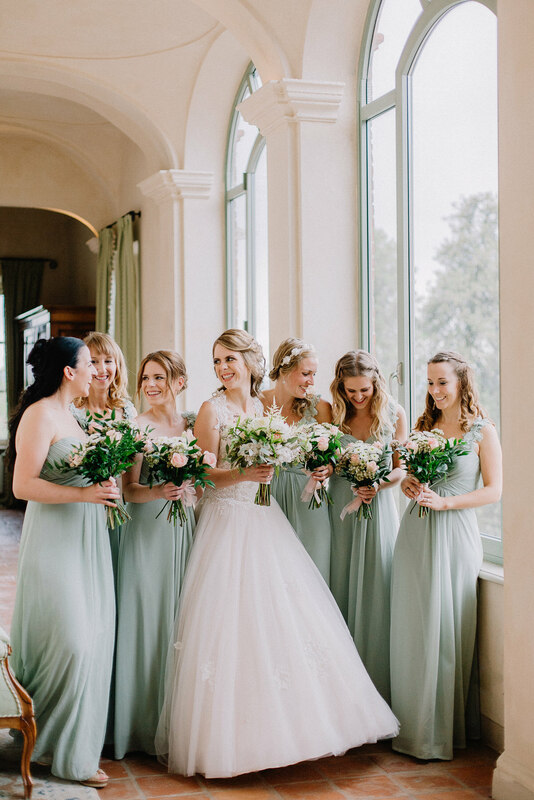 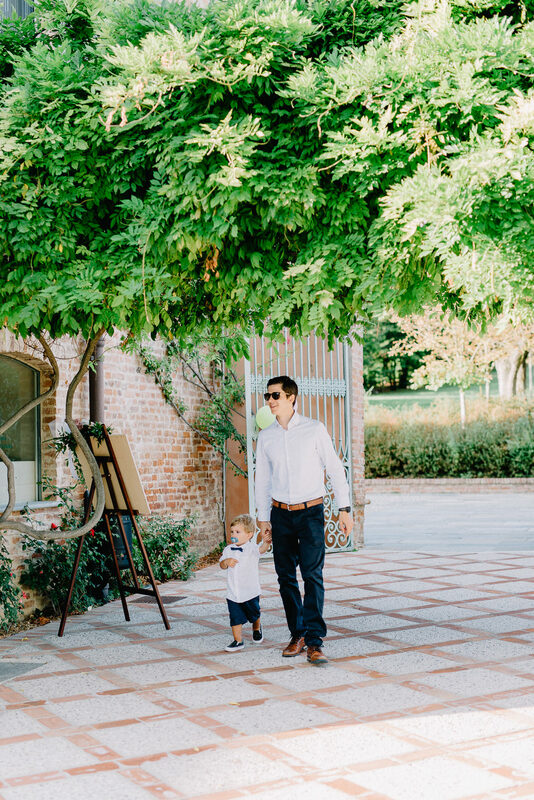 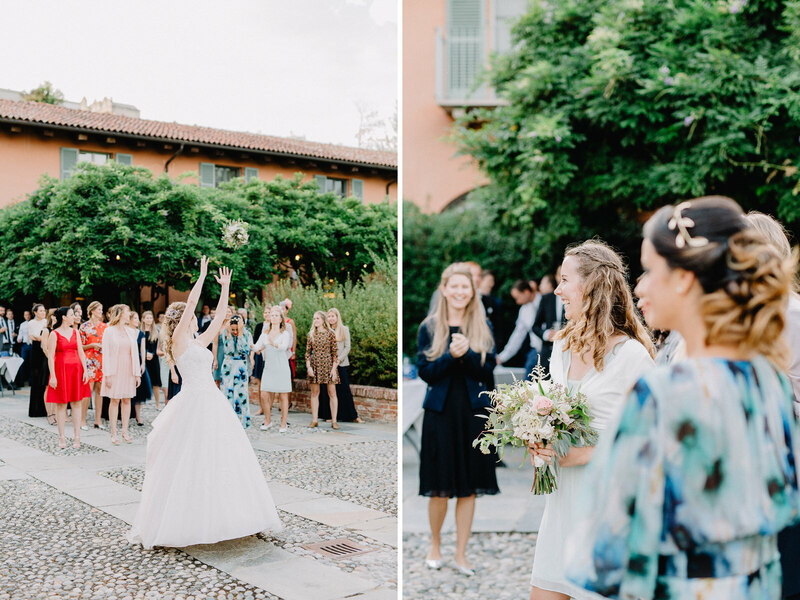 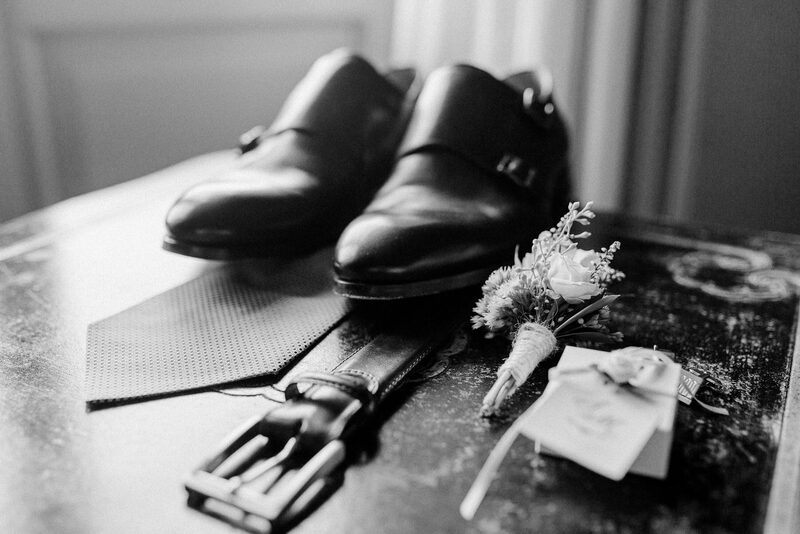 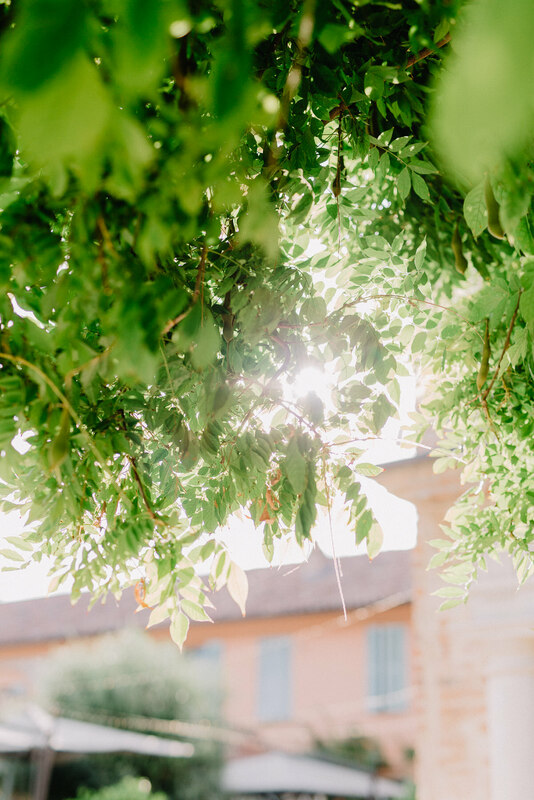 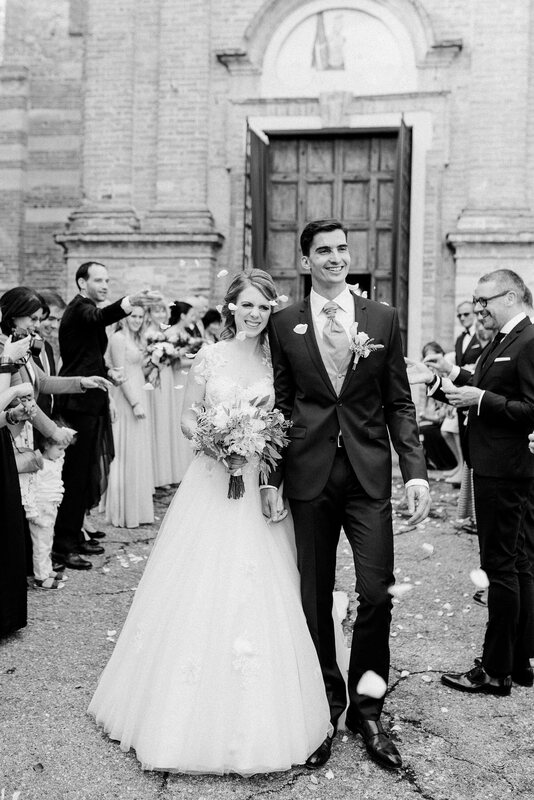 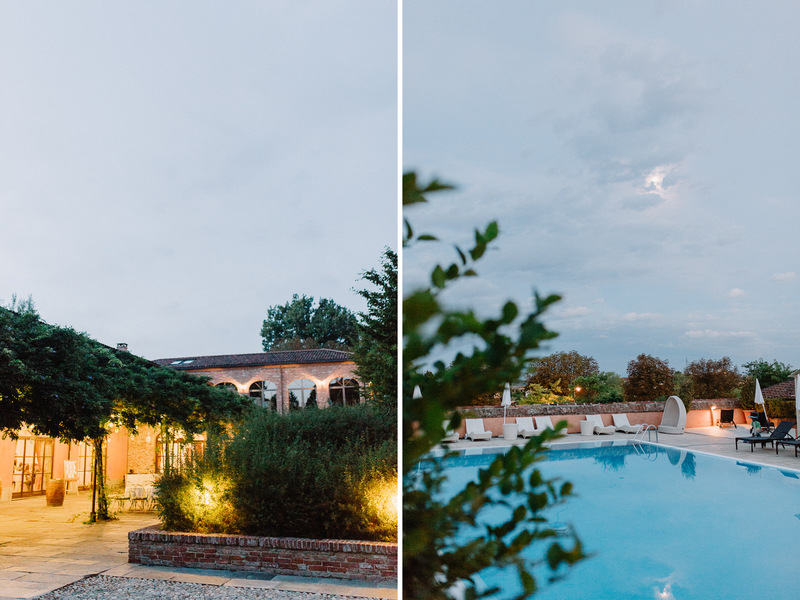 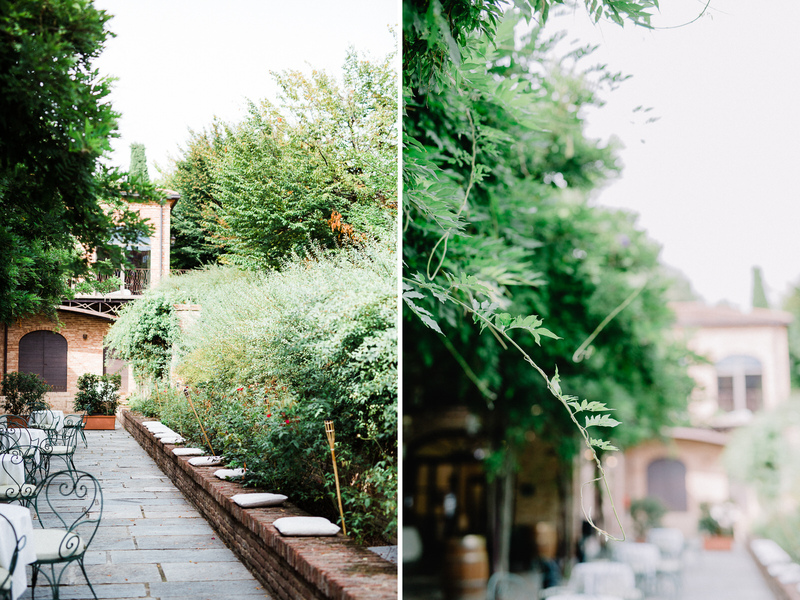 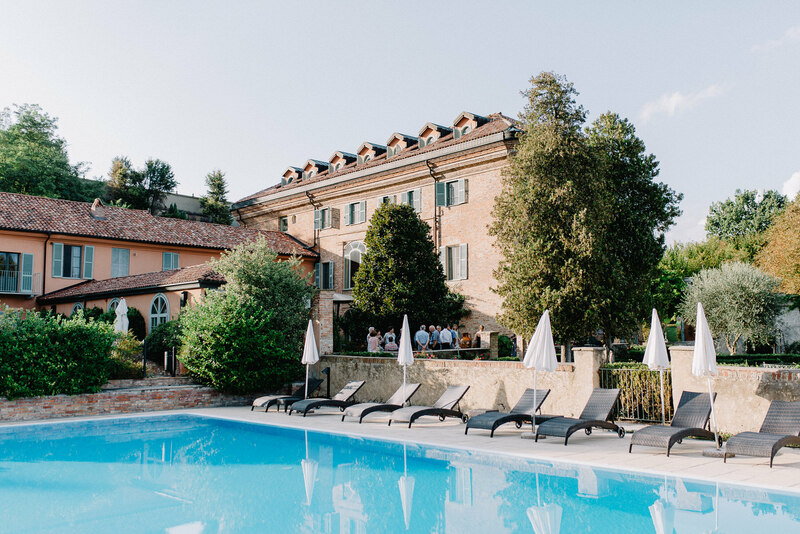 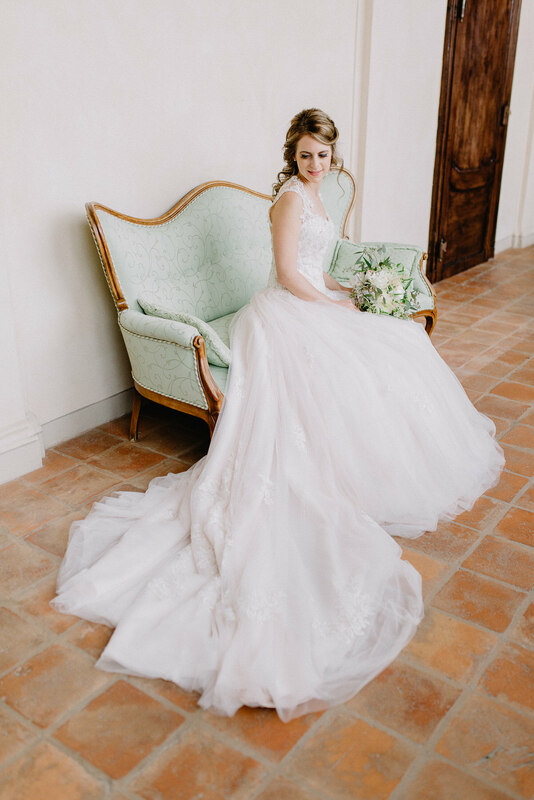 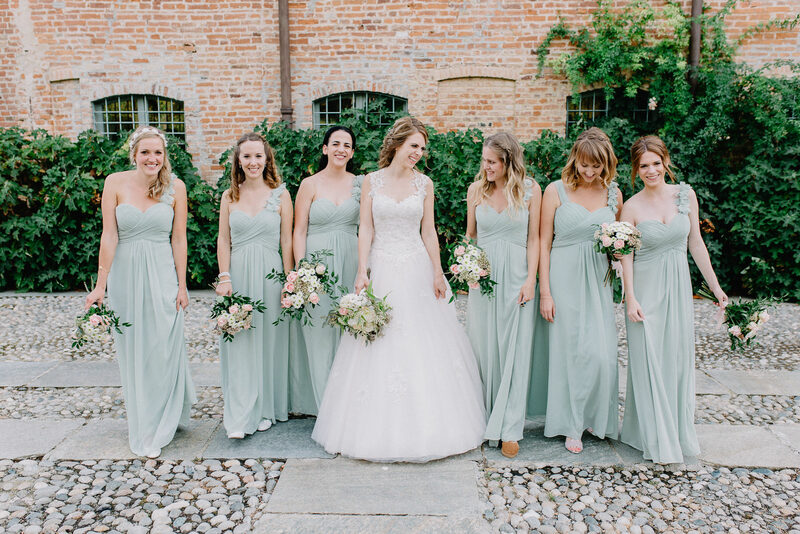 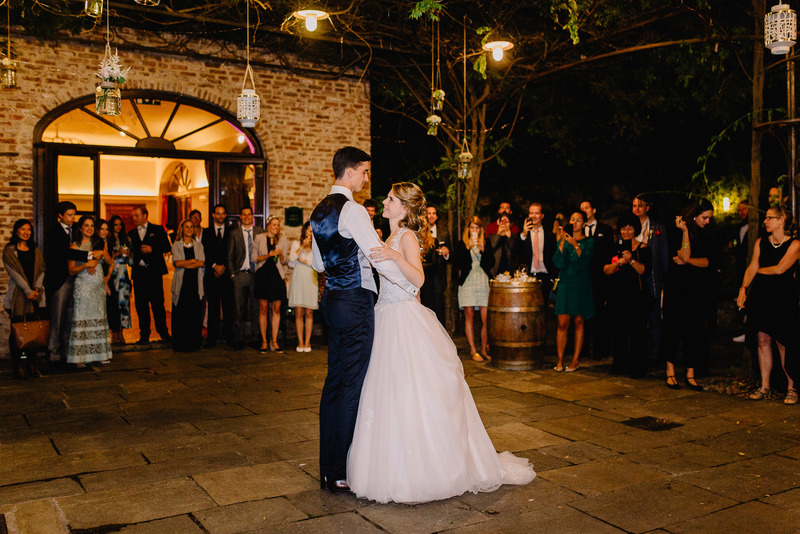 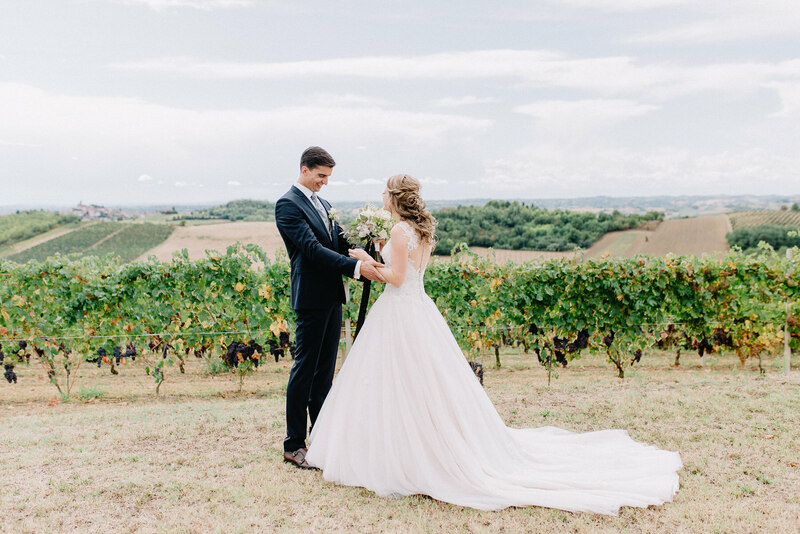 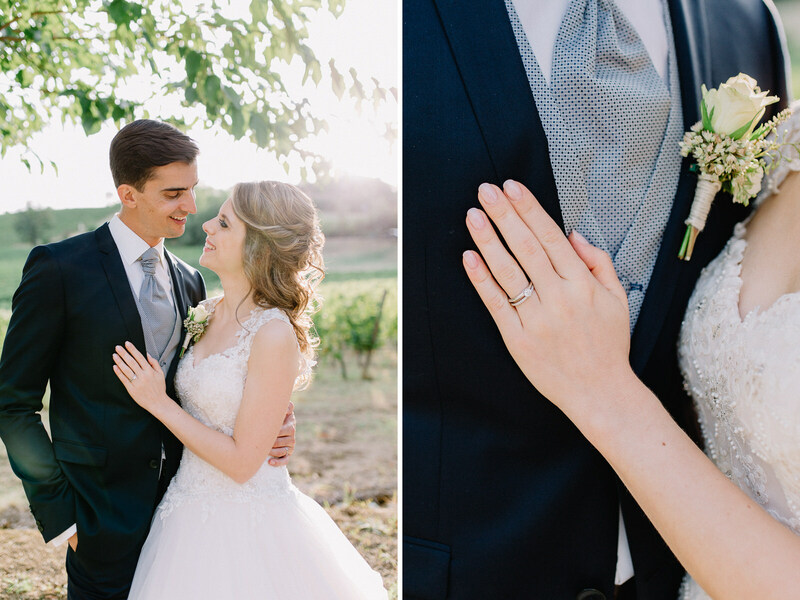 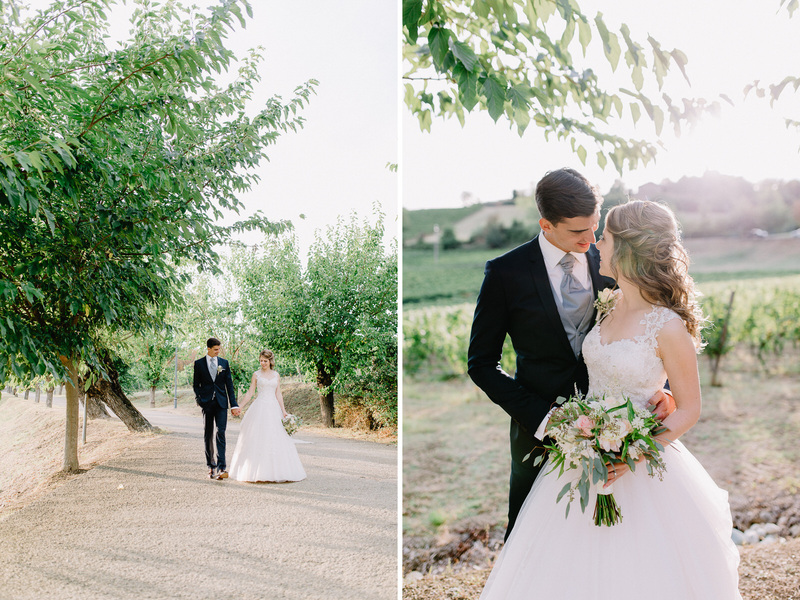 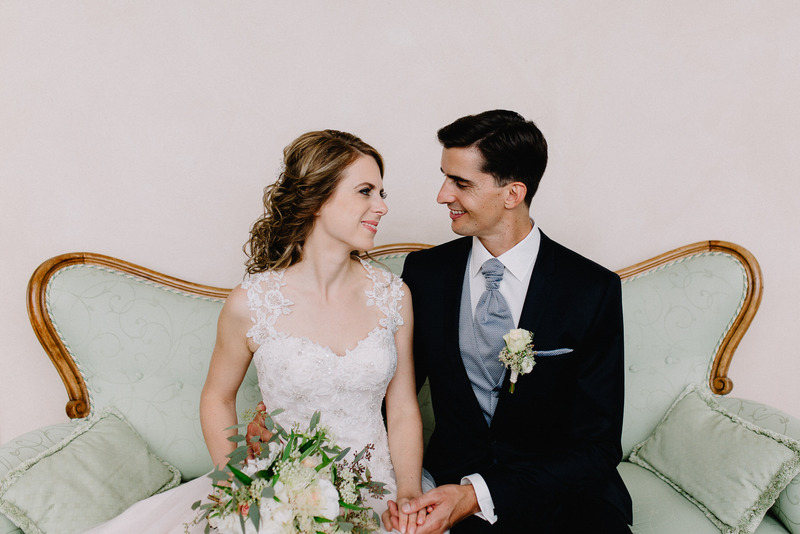 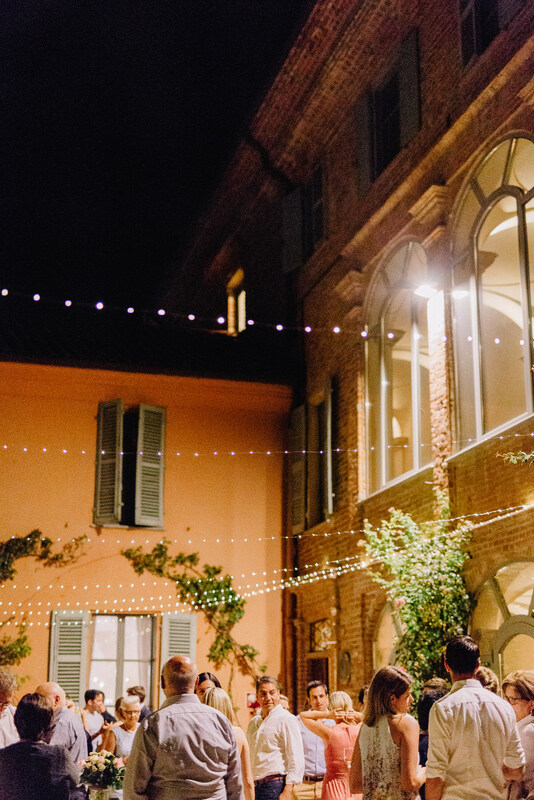 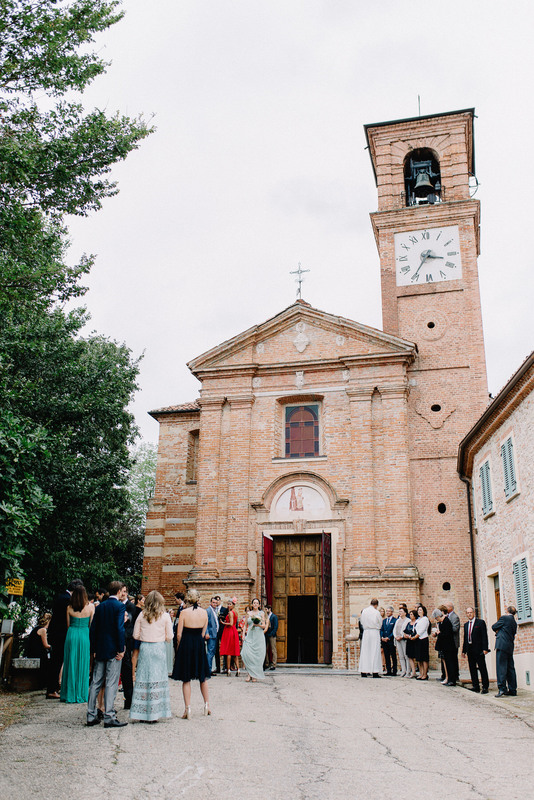 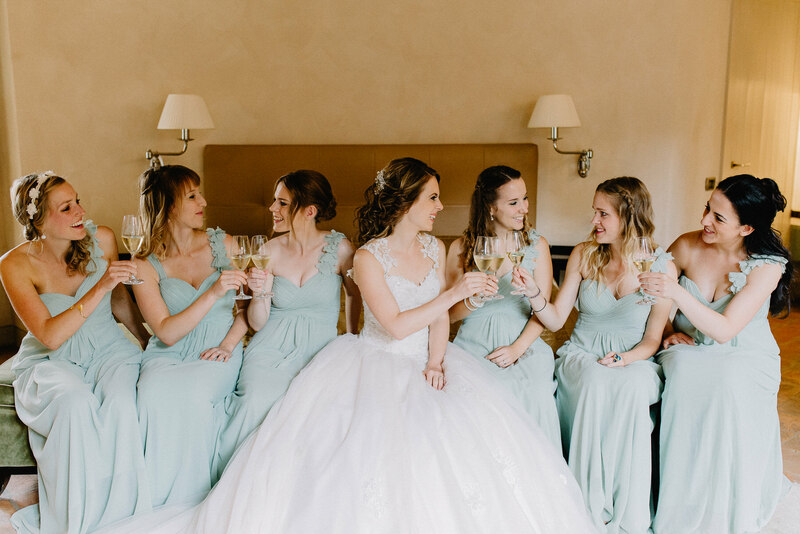 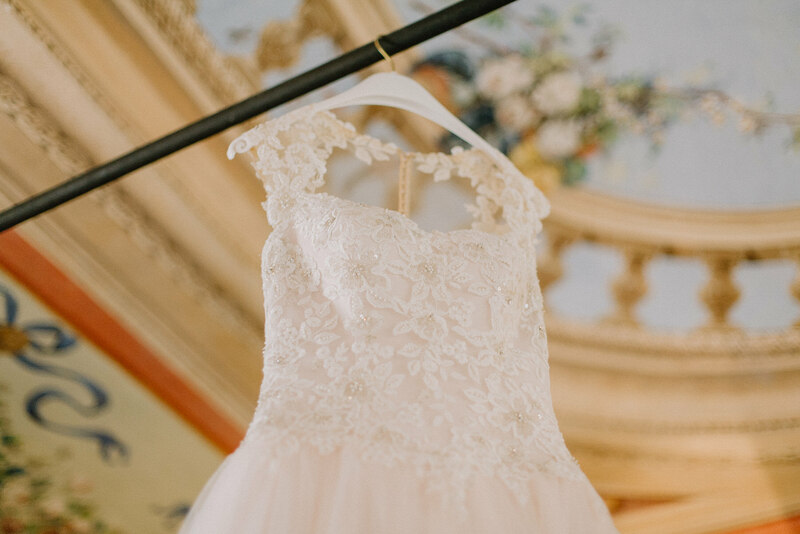 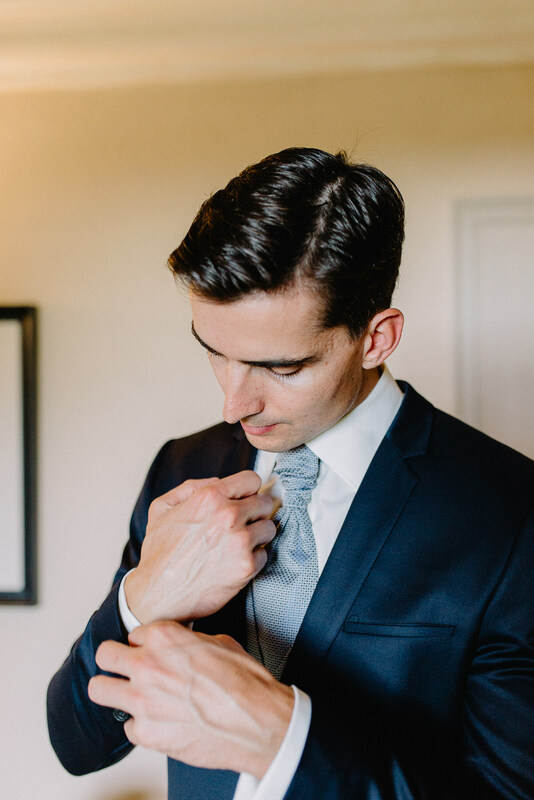 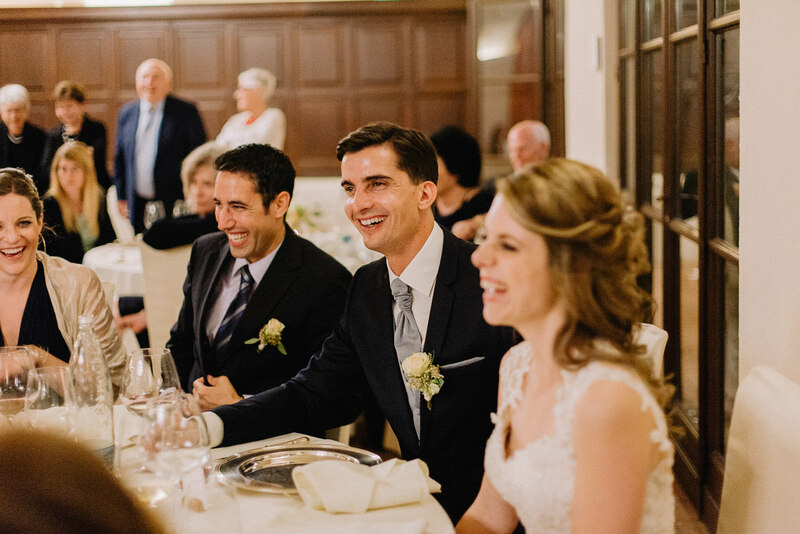 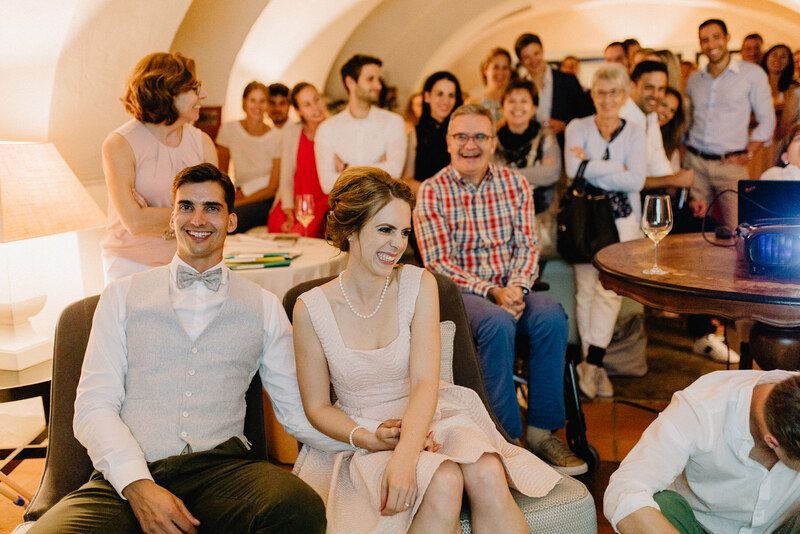 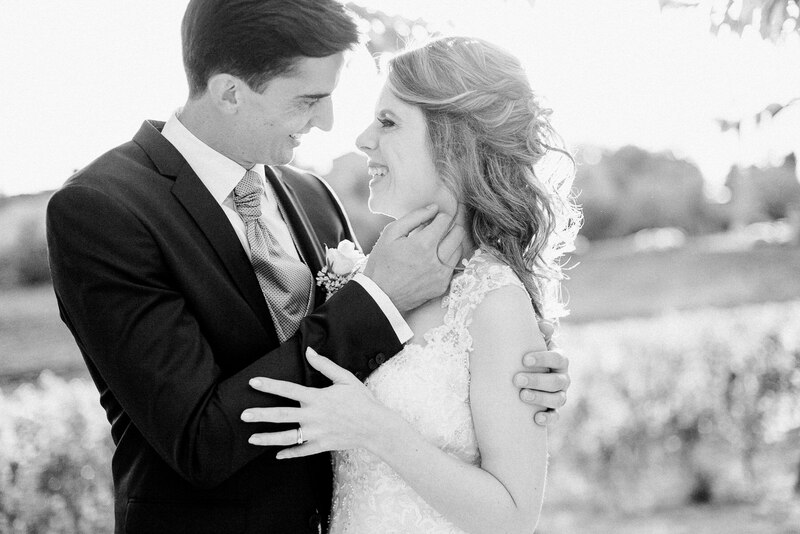 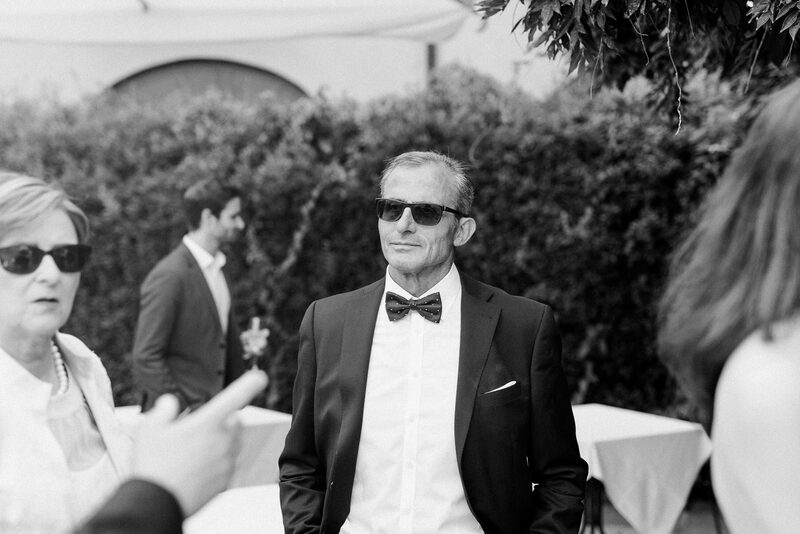 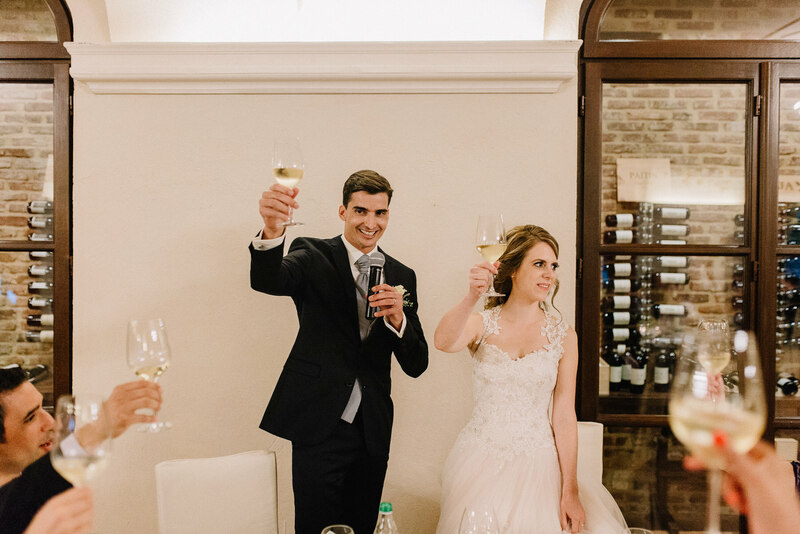 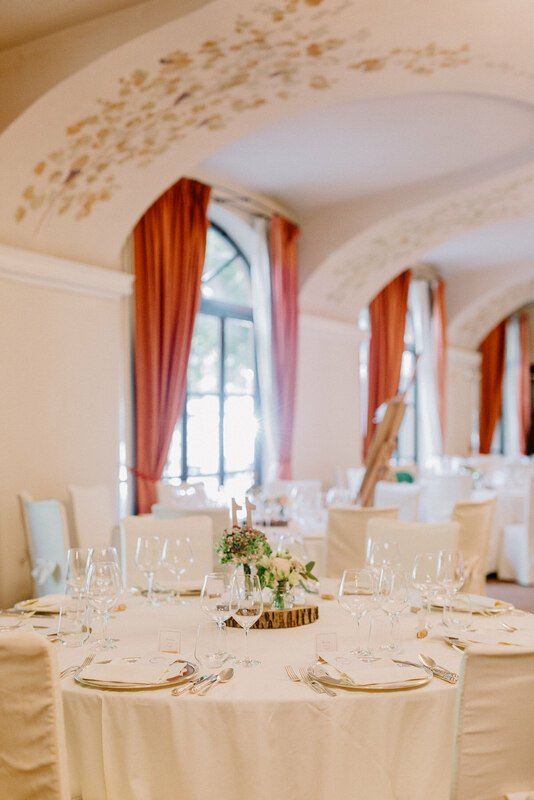 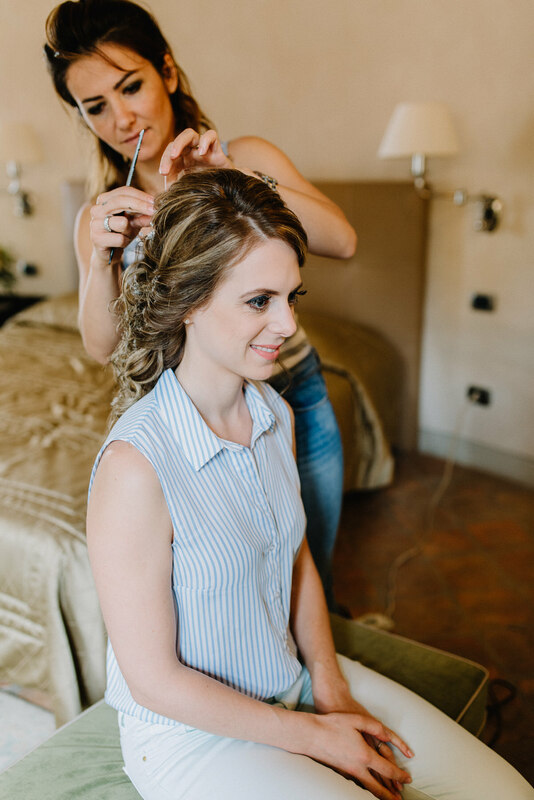 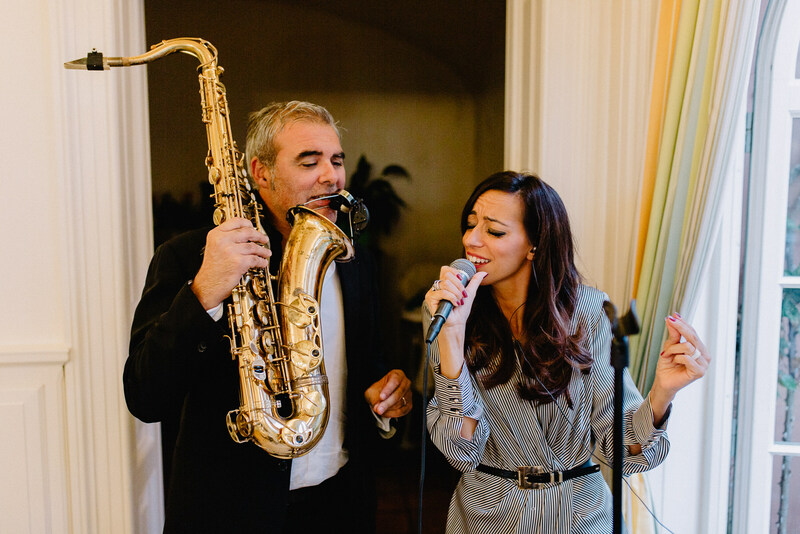 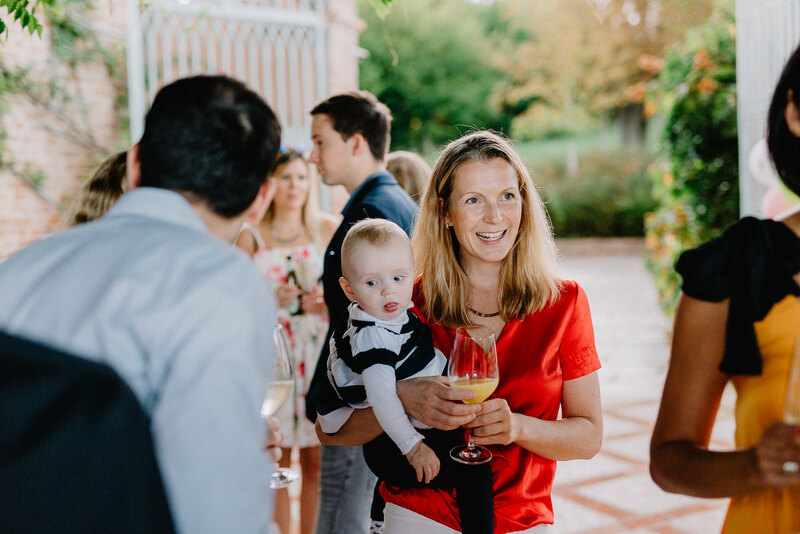 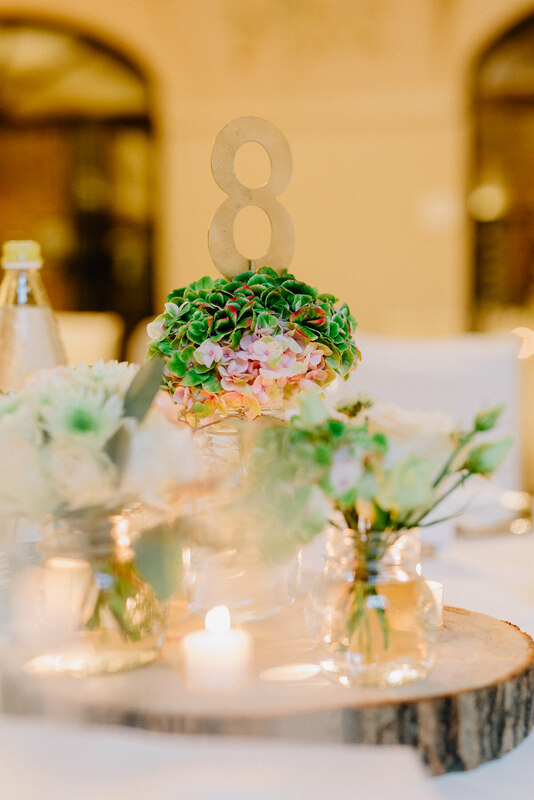 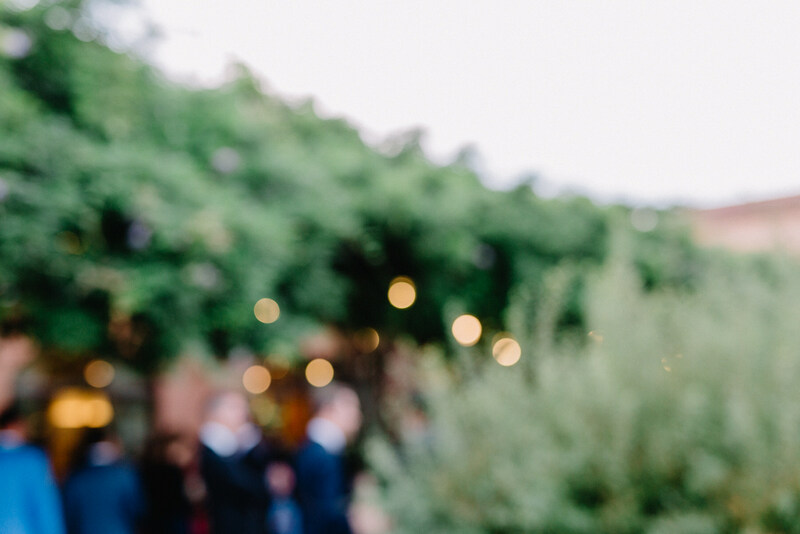 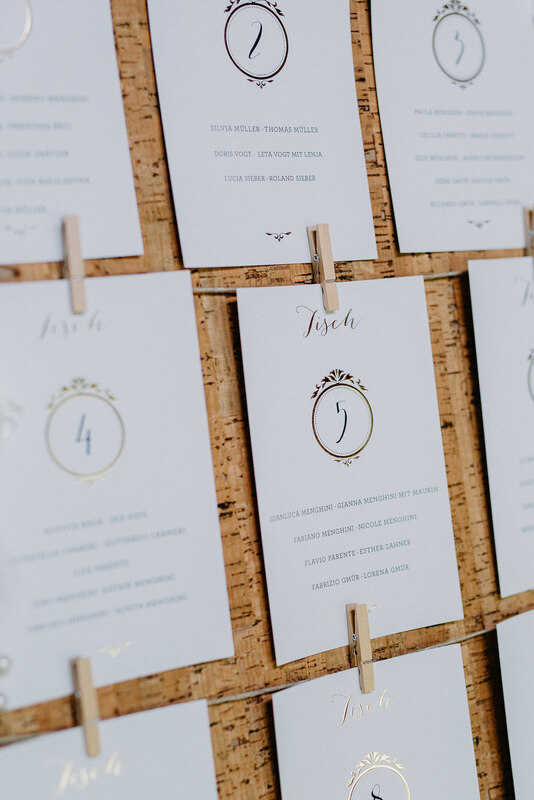 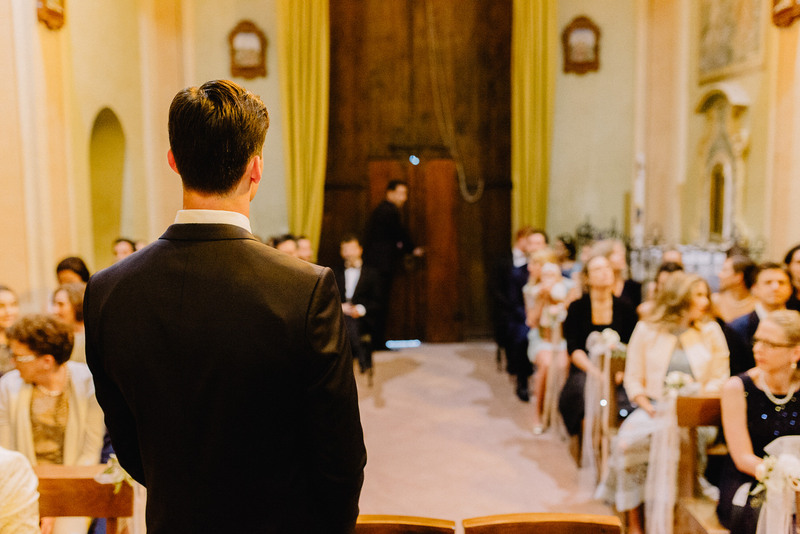 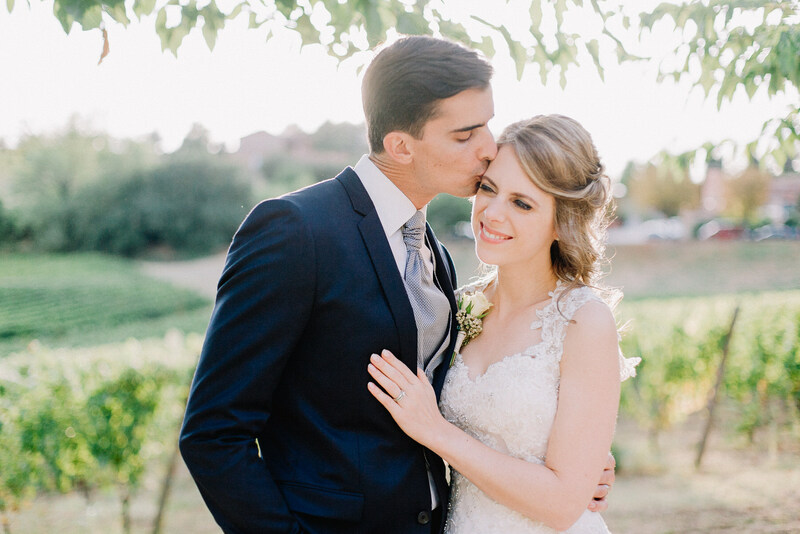 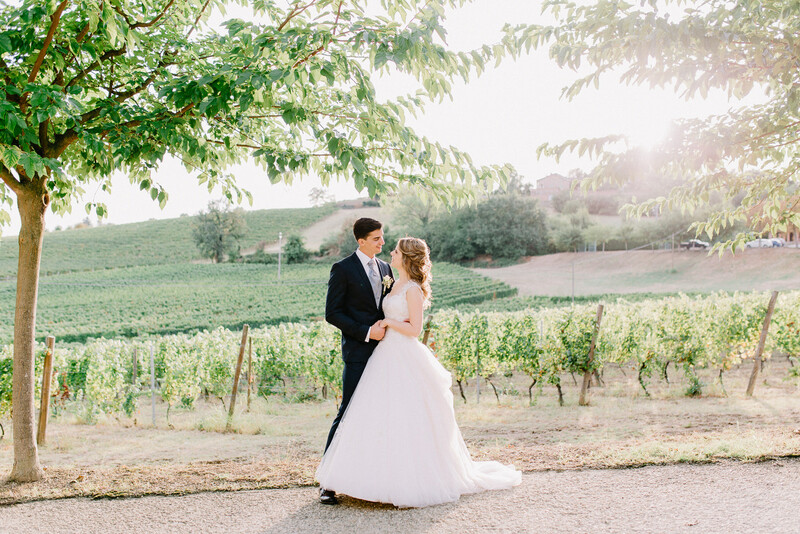 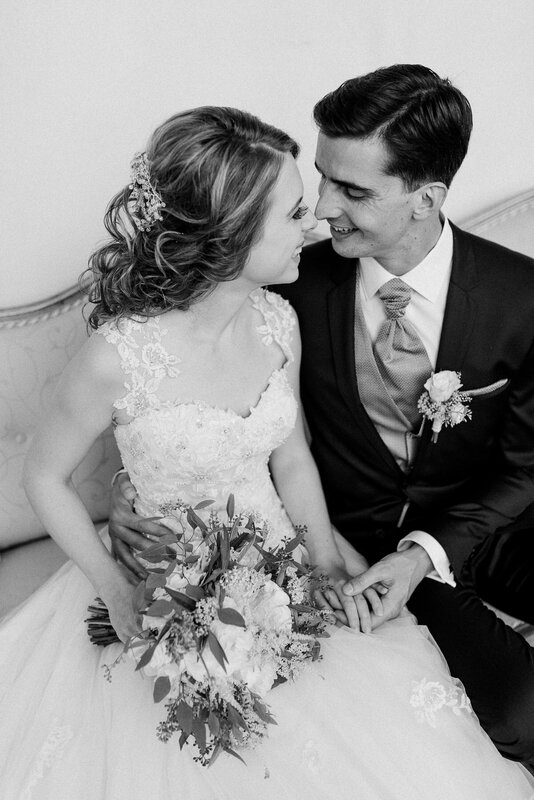 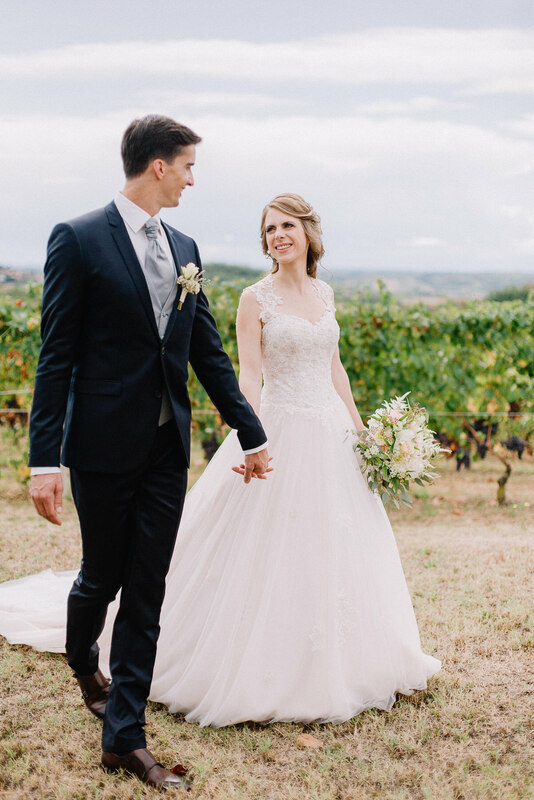 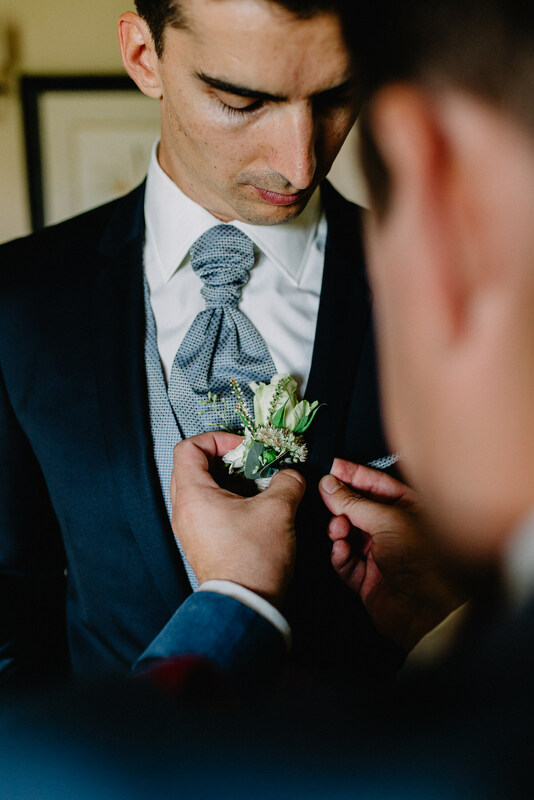 Between vineyards and hills in the north west of Italy lies the hotel estate Relais Sant’Uffizio, where Stephanie and Moreno celebrated a whole wedding weekend. 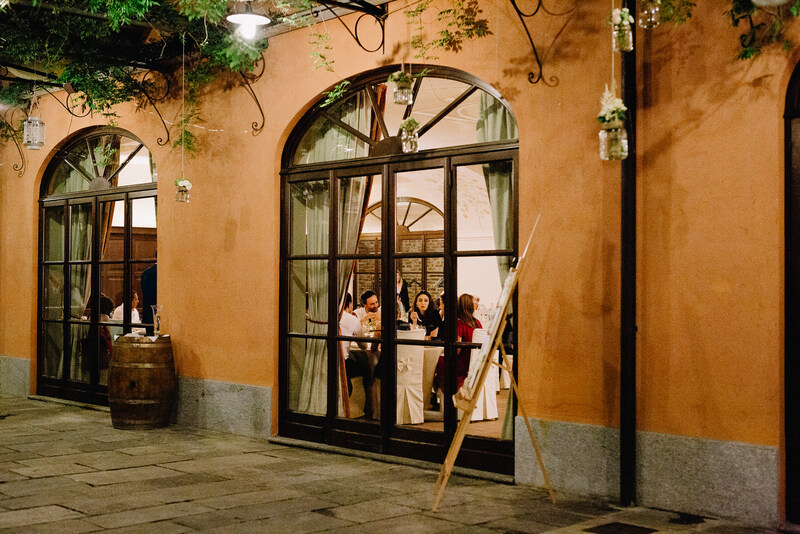 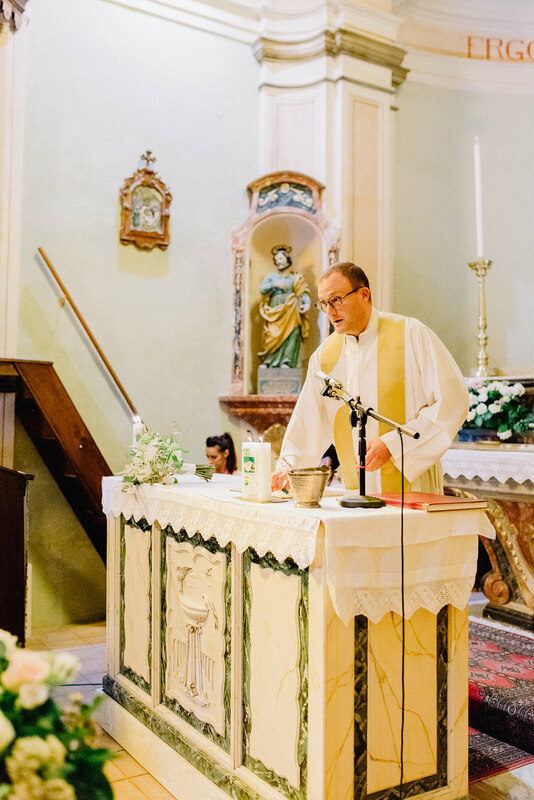 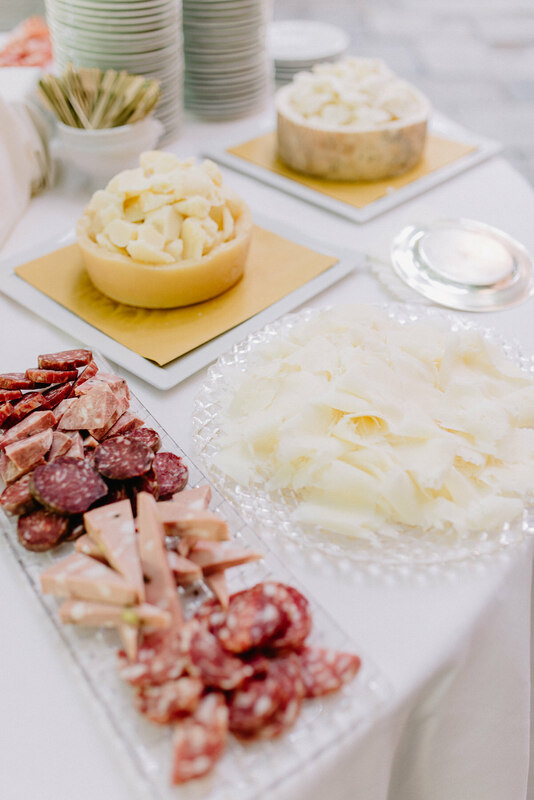 With the intention of creating a relaxed and joyful atmosphere they invited their guests to spend three wonderful days in the Piedmontese region with them. 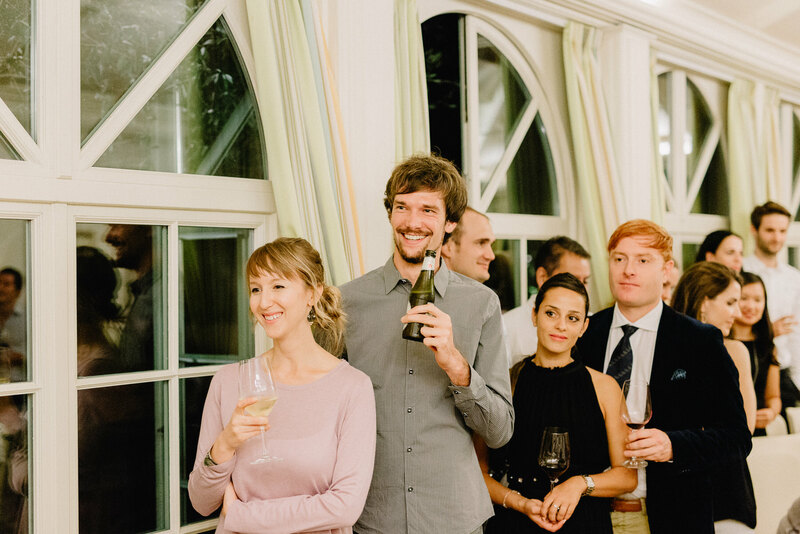 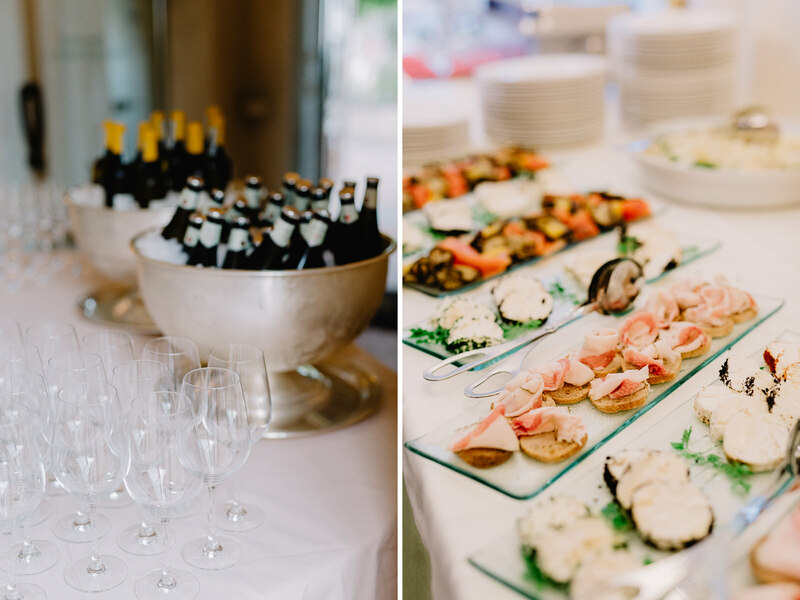 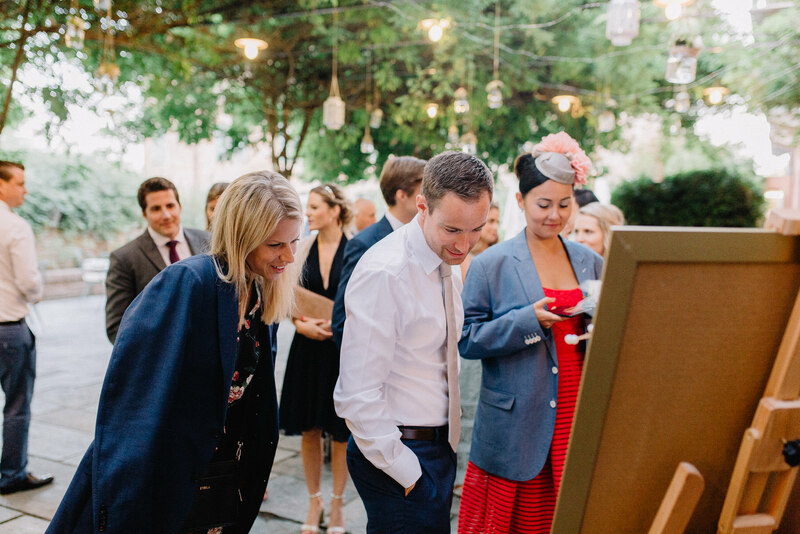 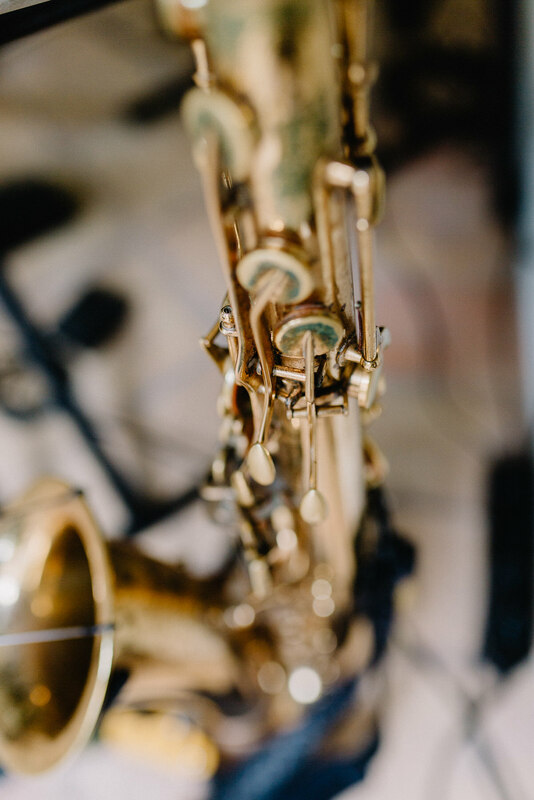 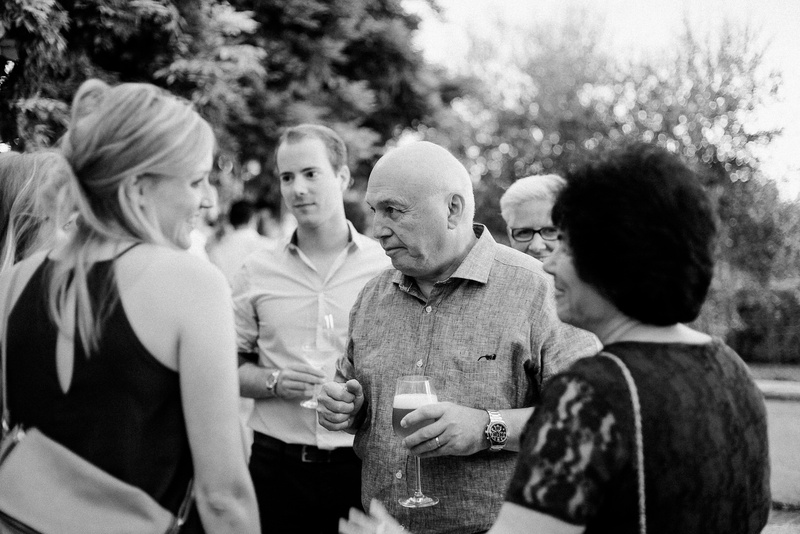 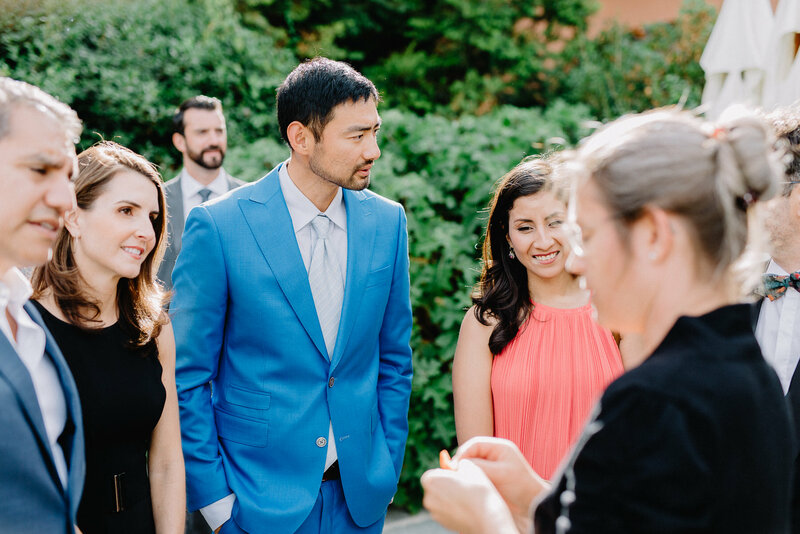 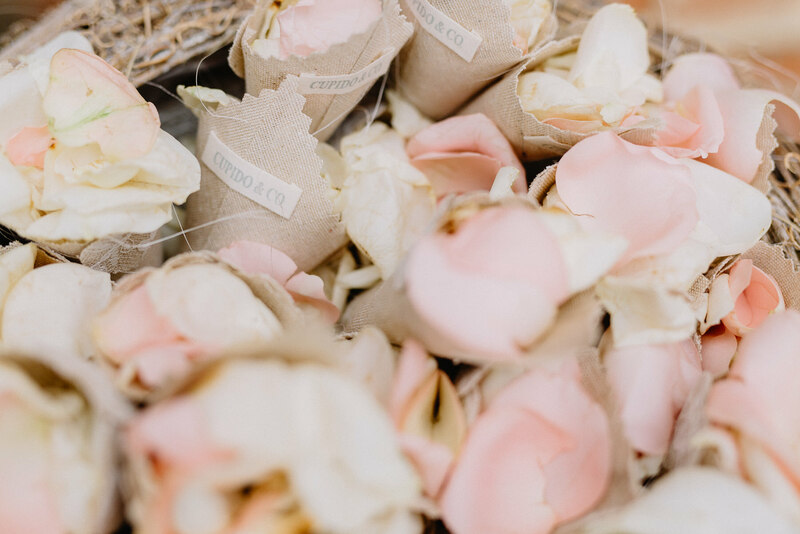 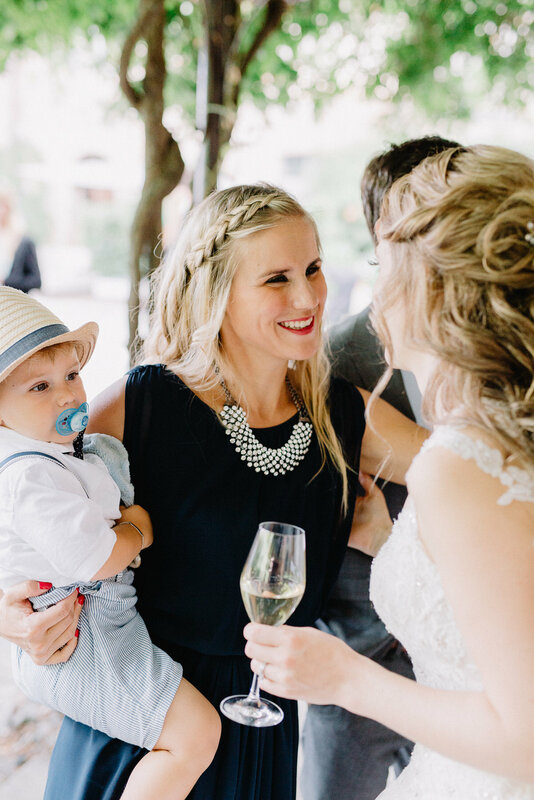 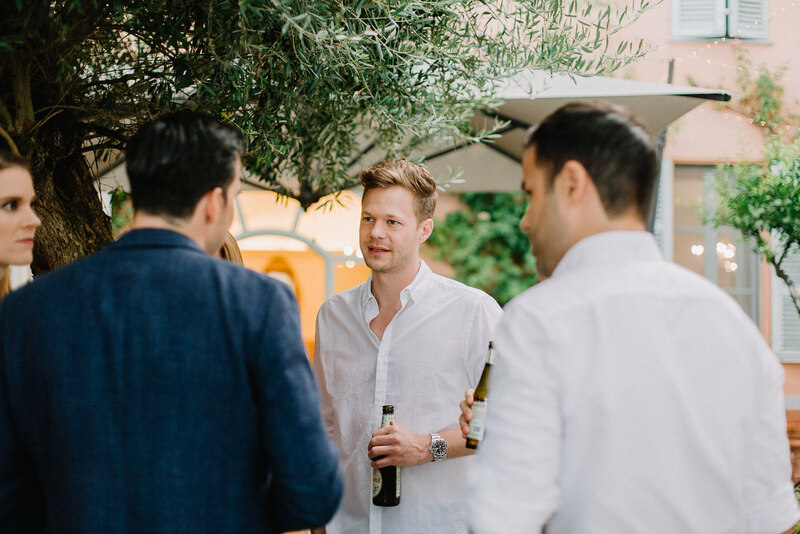 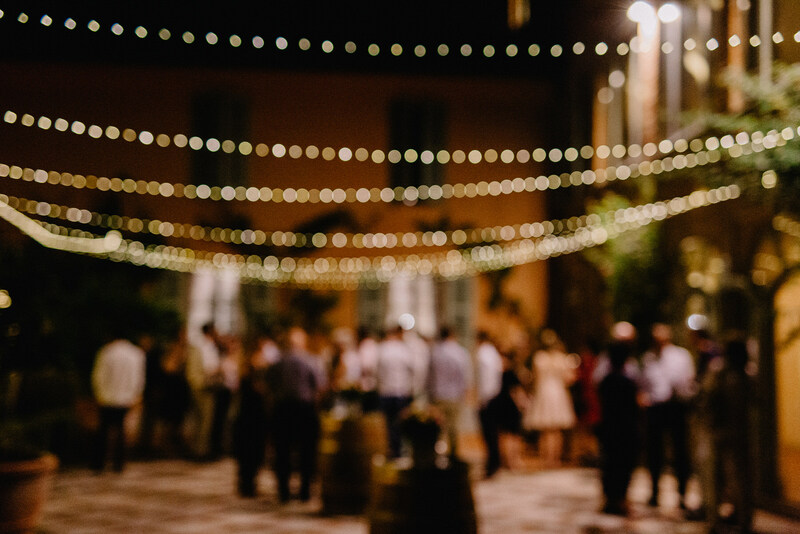 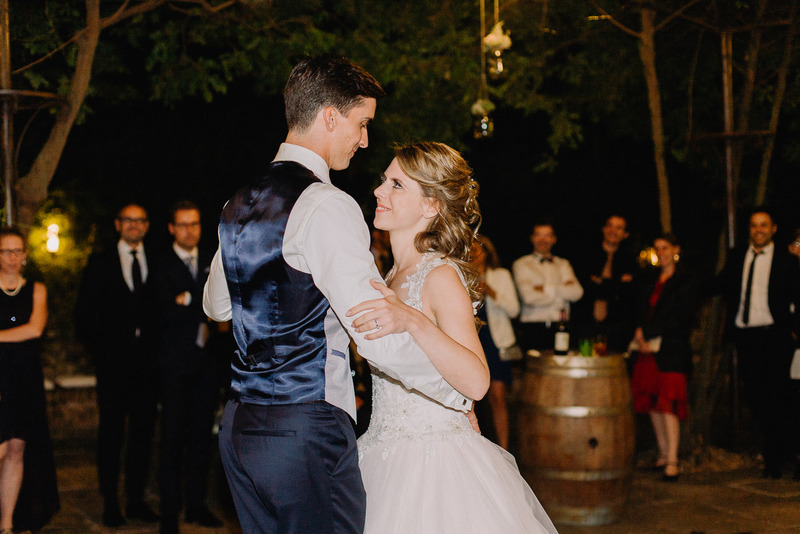 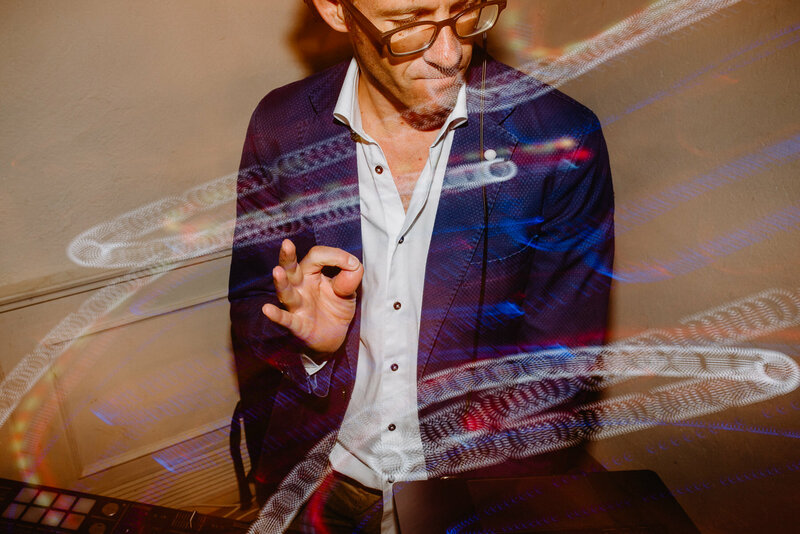 It was not only a weekend full of laughters, summer nights under fairy lights, delicious italian food, live music and a celebration of two amazing people, but it also felt like a holiday for everyone. 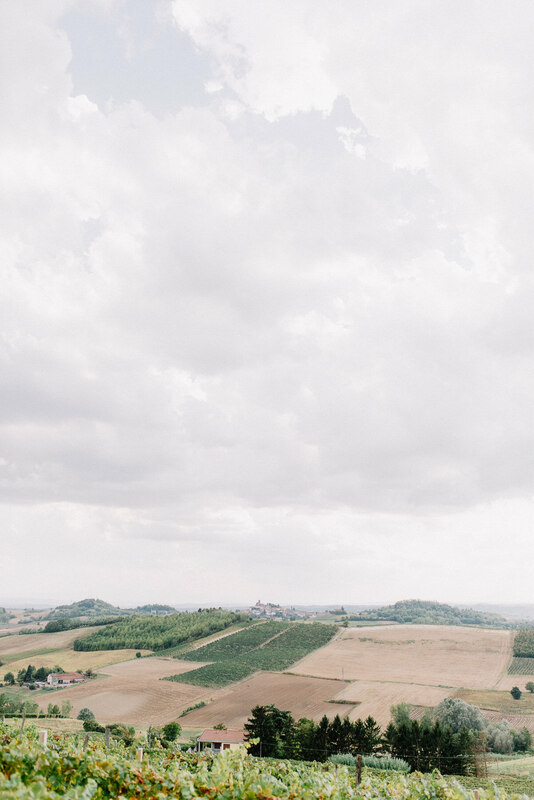 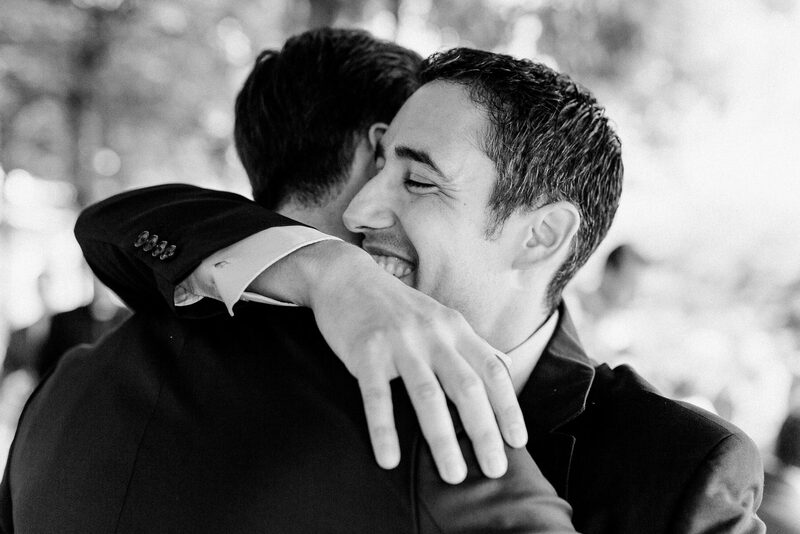 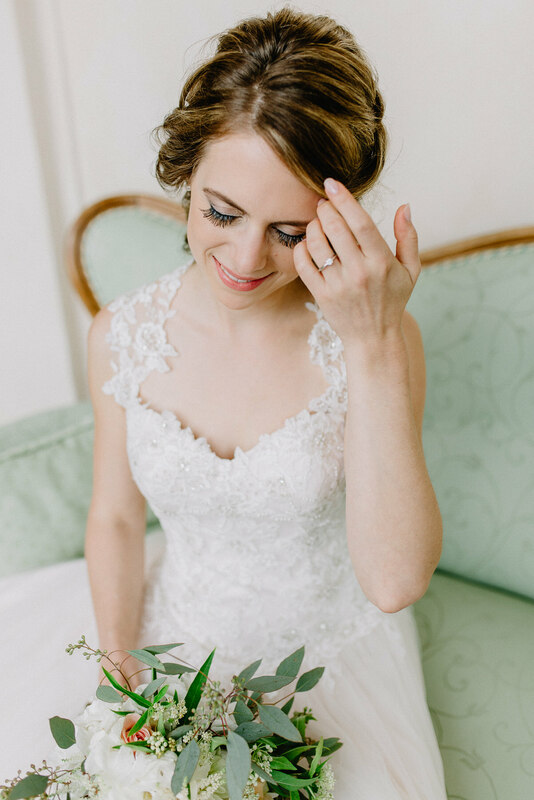 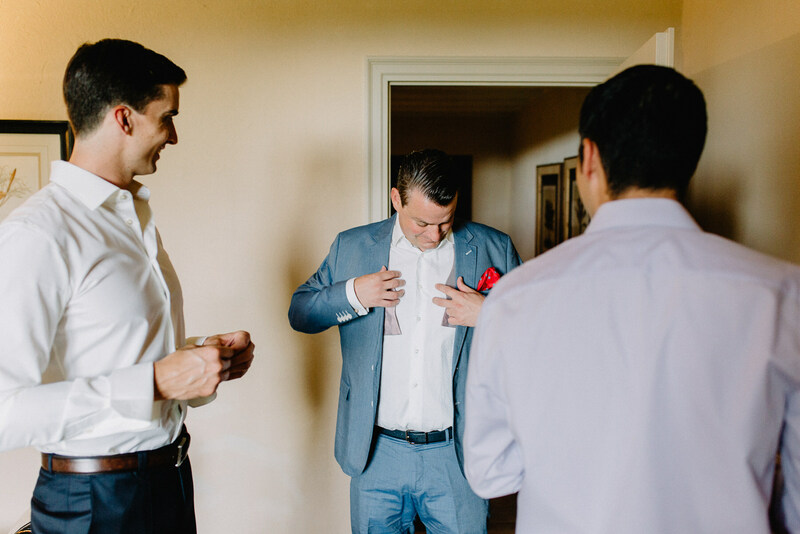 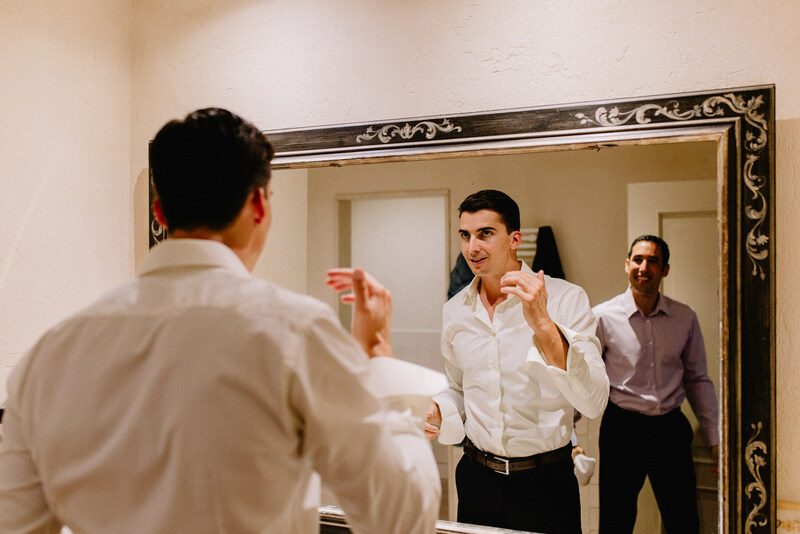 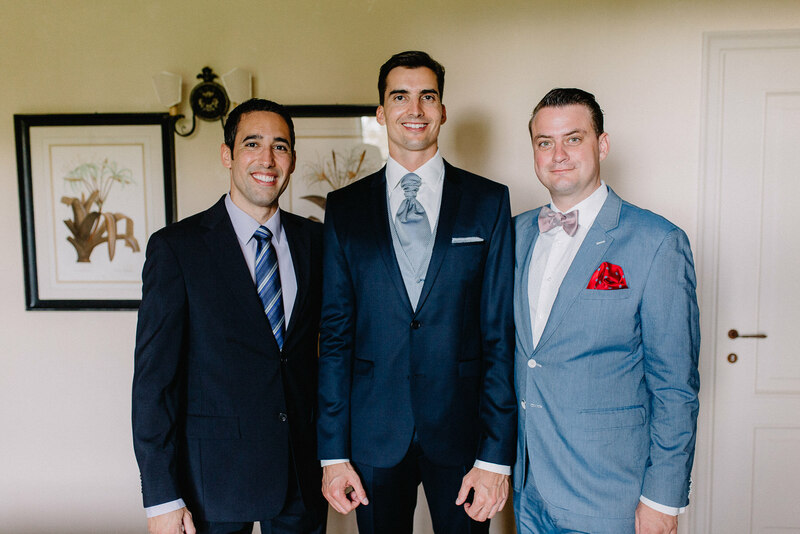 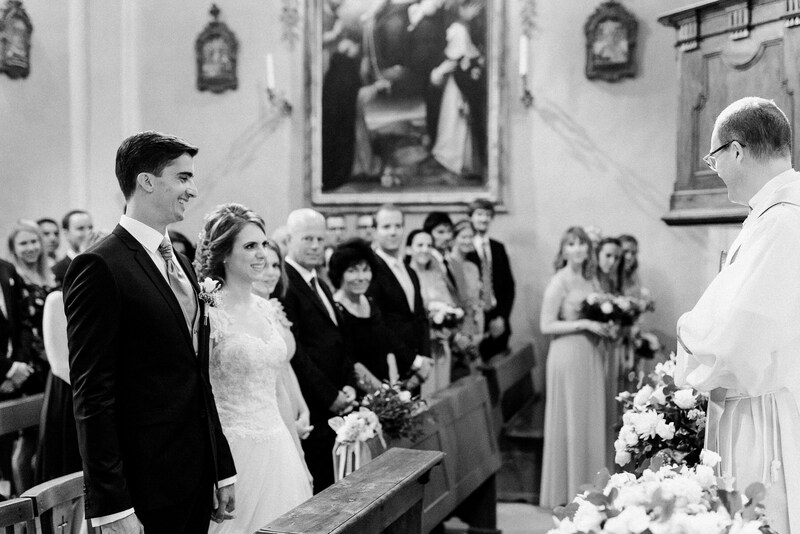 They planned an adorable destination wedding with dusty rose and golden elements and focused on having an amazing and unique time with all their beloved ones closest to their hearts.